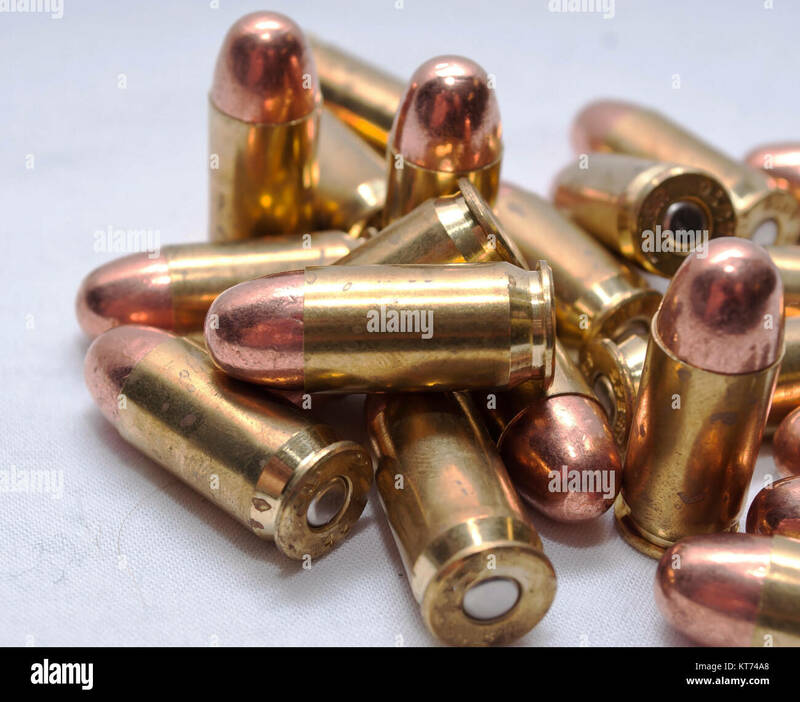 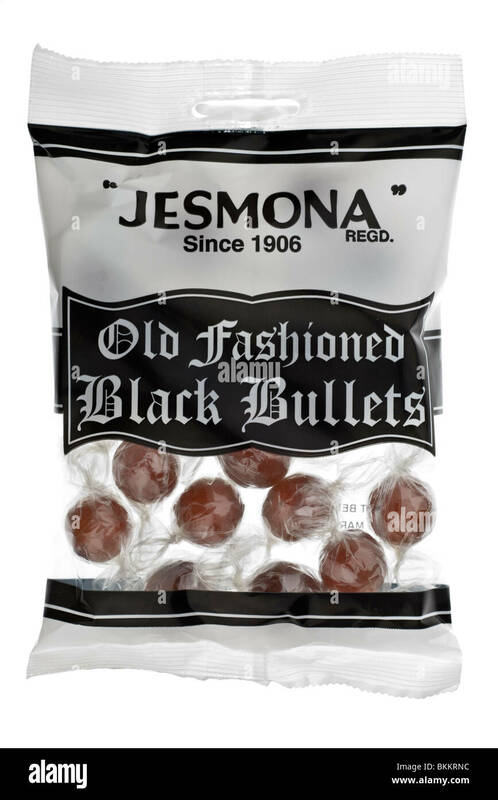 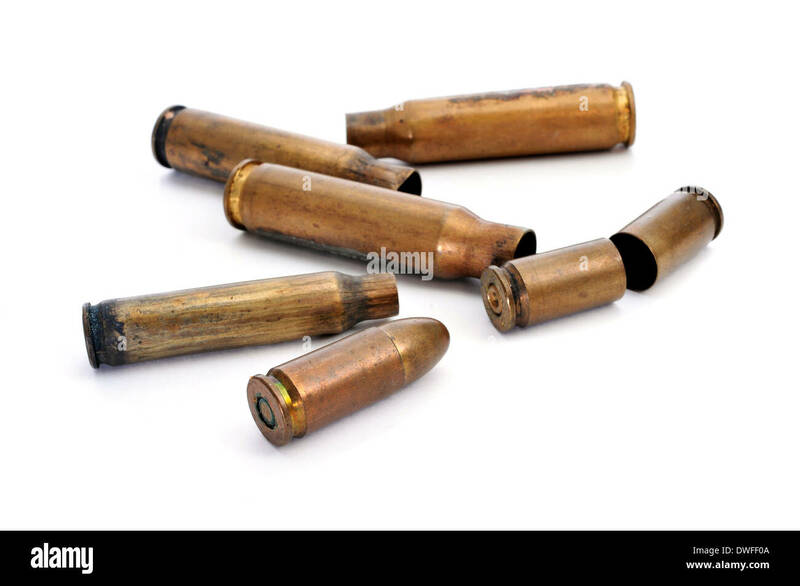 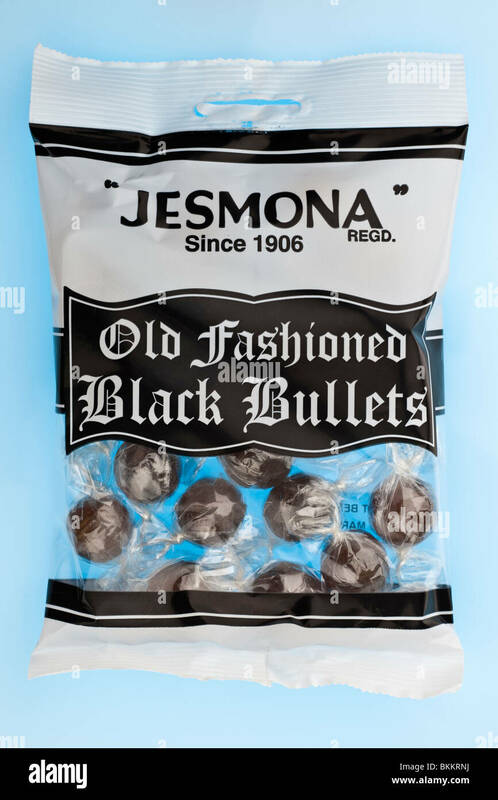 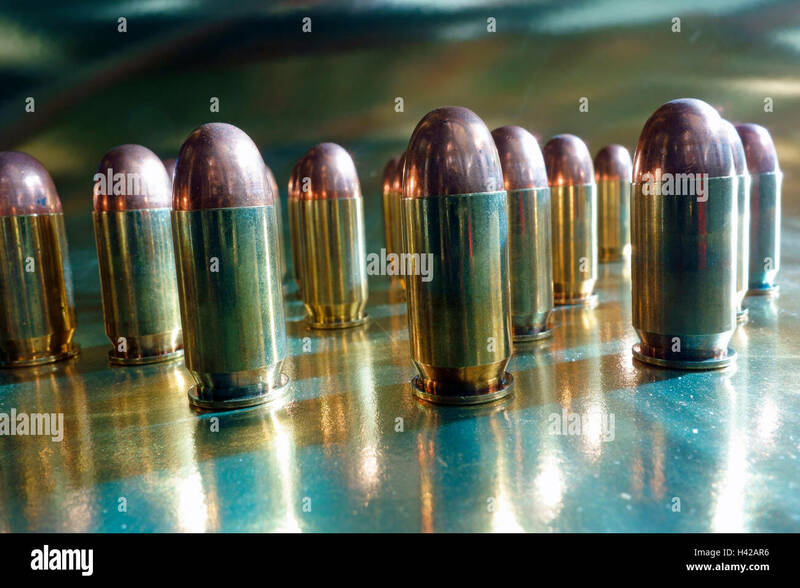 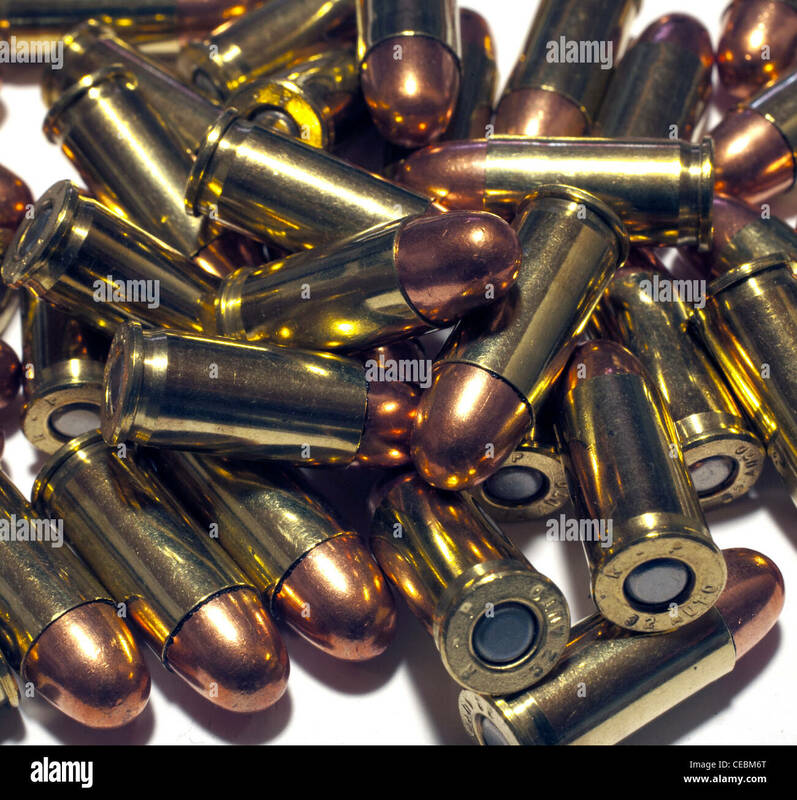 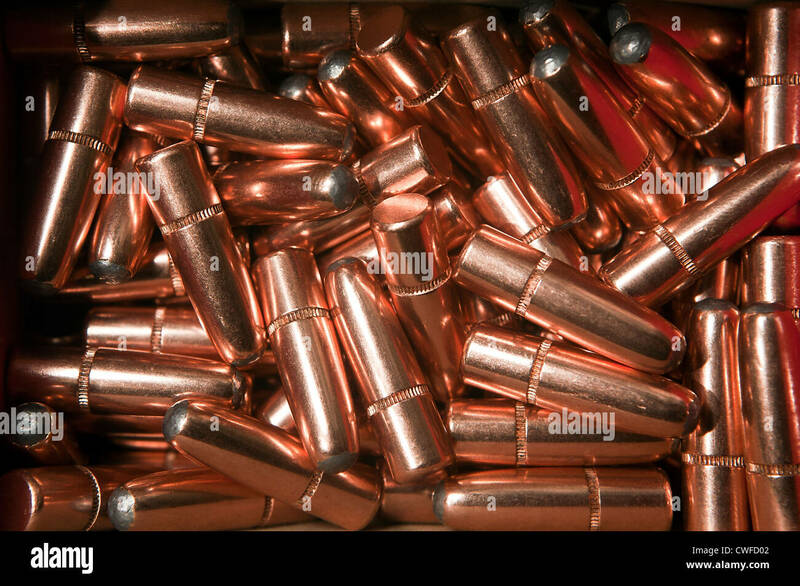 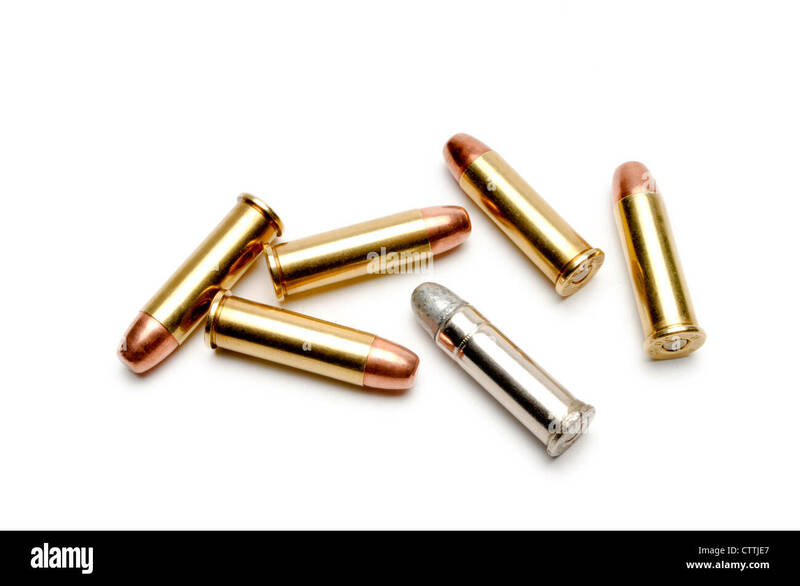 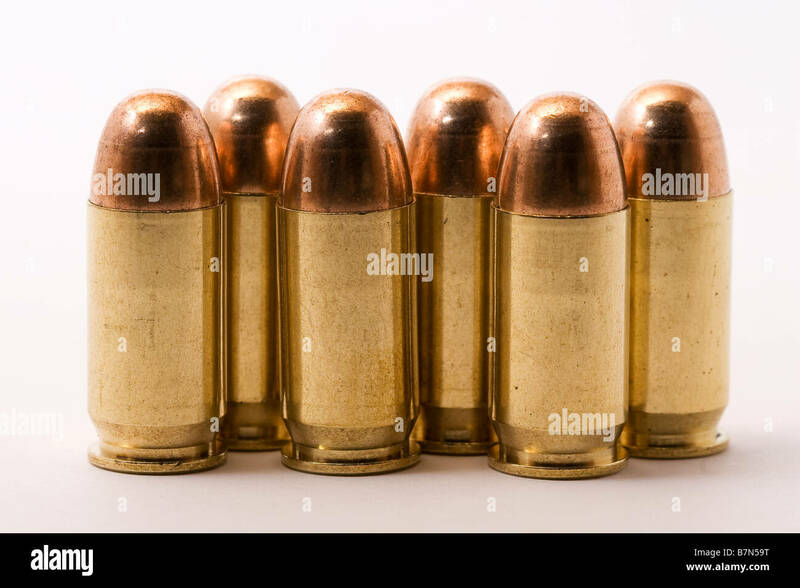 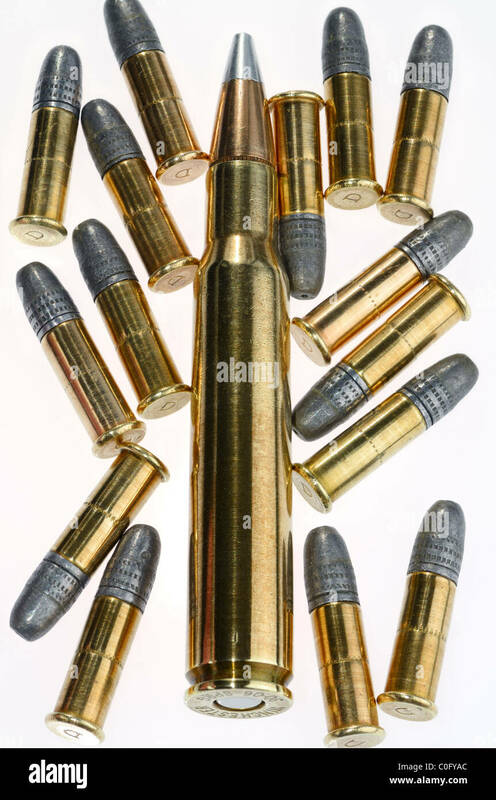 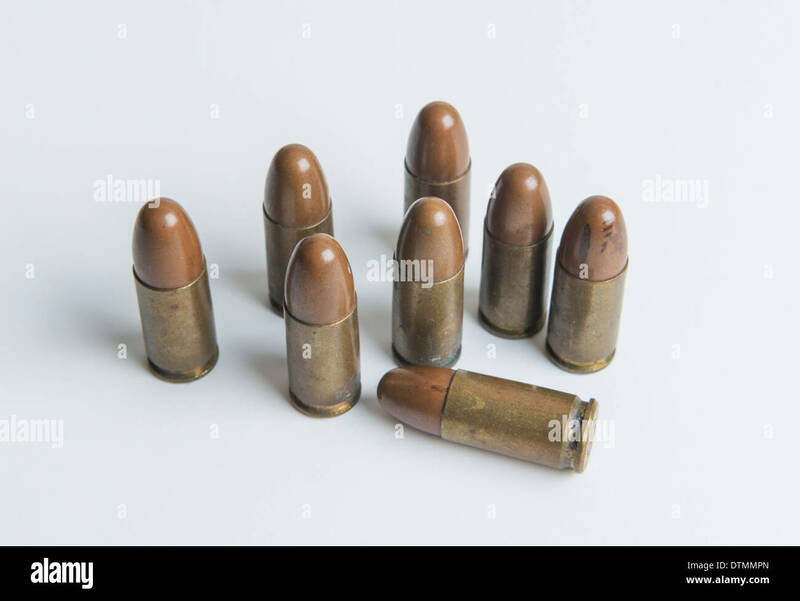 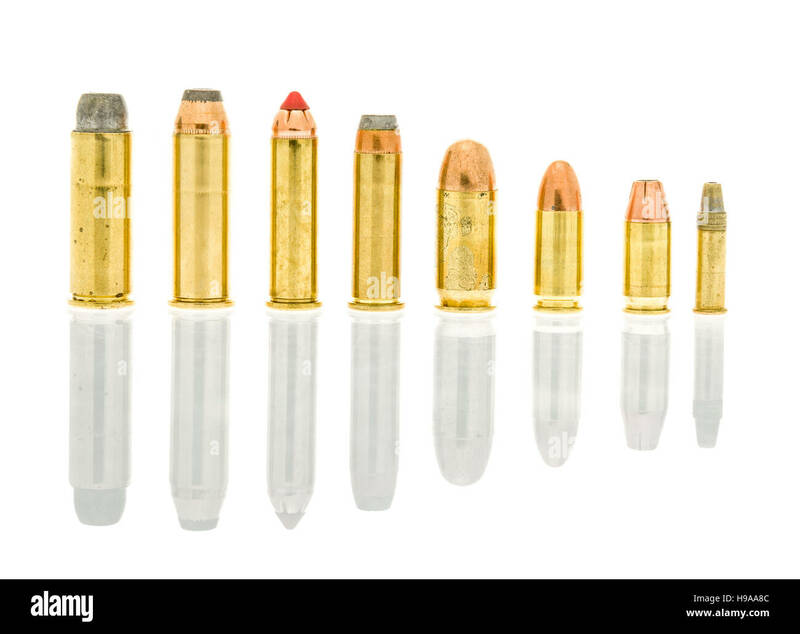 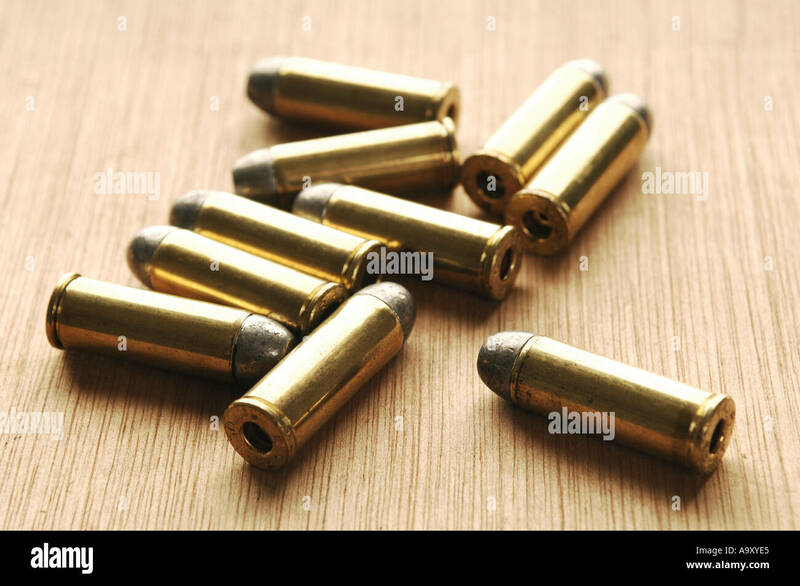 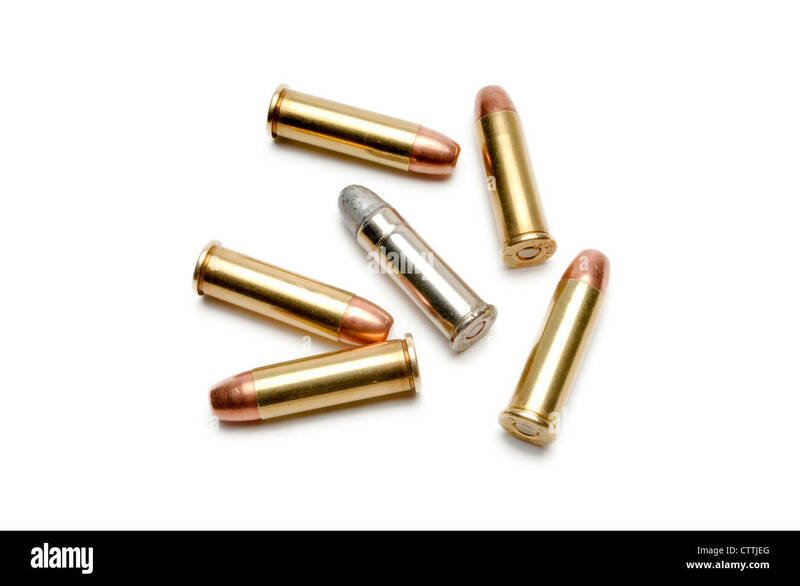 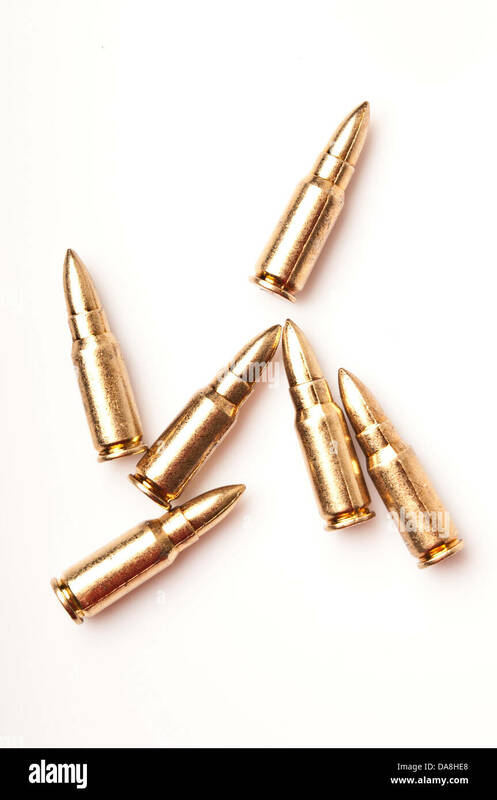 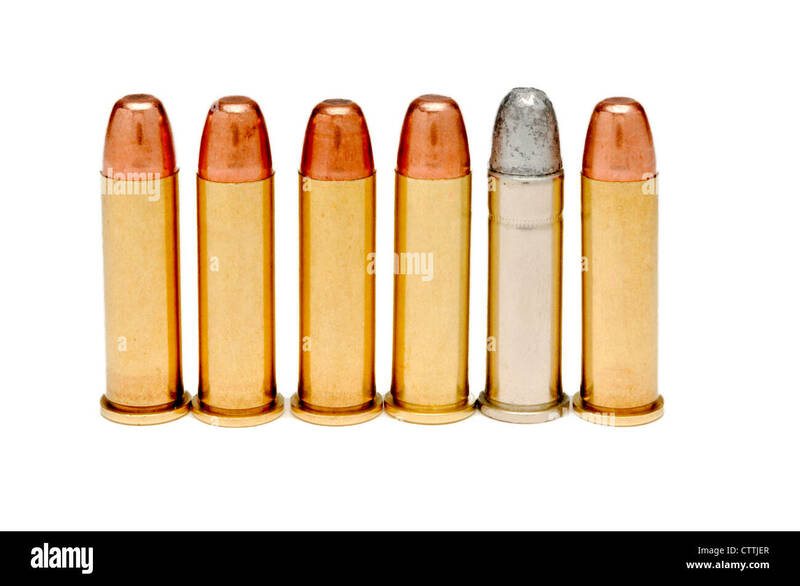 Eight old 9mm bullets from a hand gun. 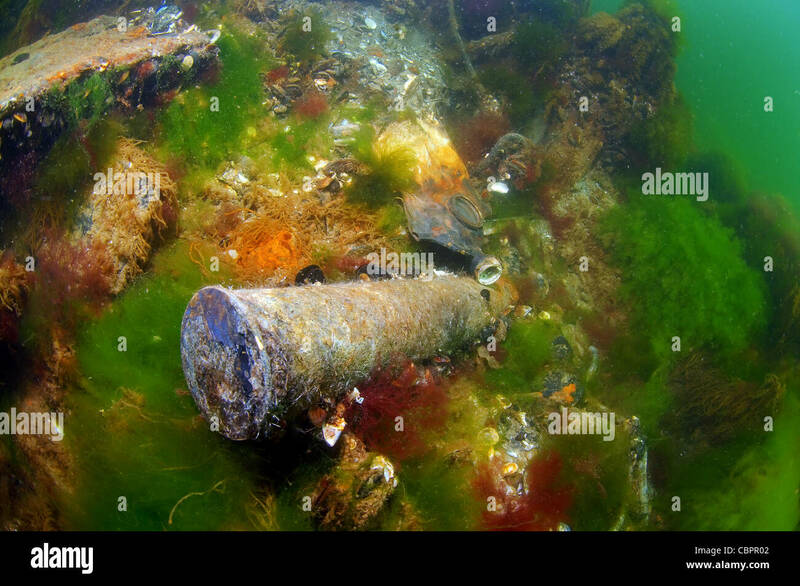 Ammunition, cartridges, bullets, Underwater wreck - mine trawler 'Collective farmer', submerged on the Black sea in Ukraine. 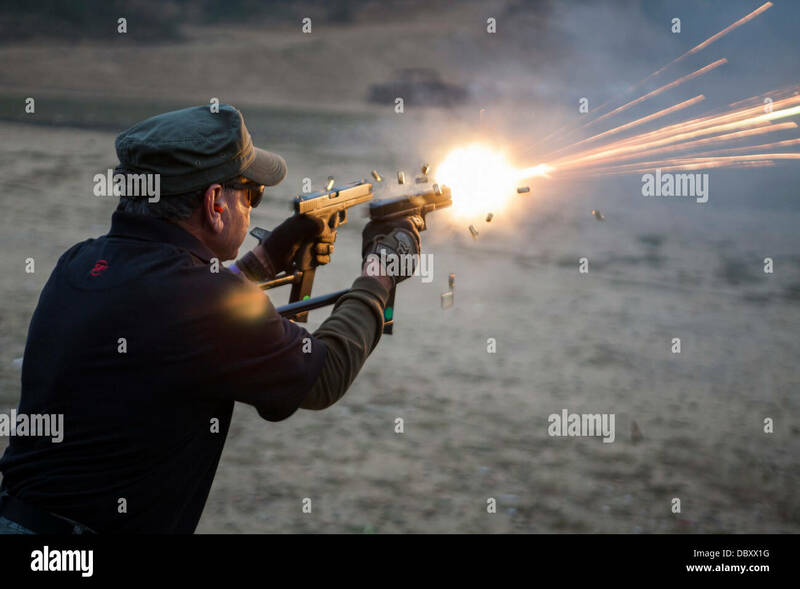 The Knob Creek Machine Gun Shoot. 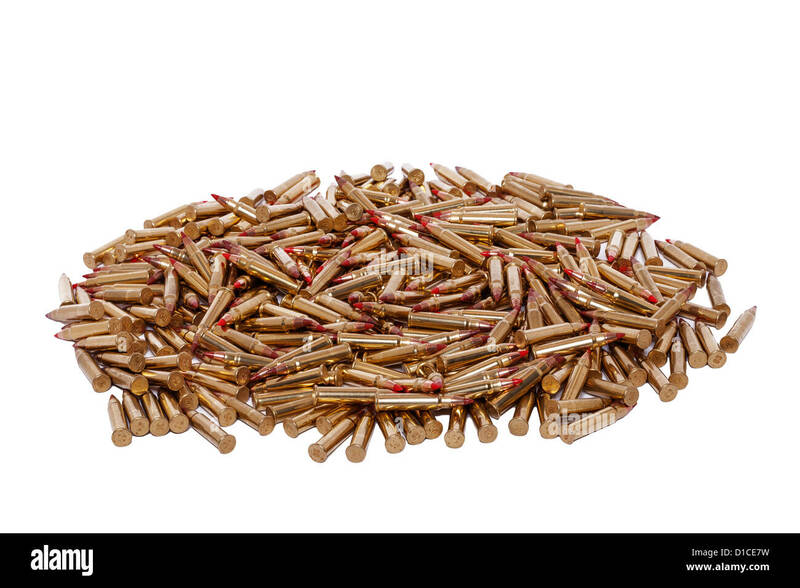 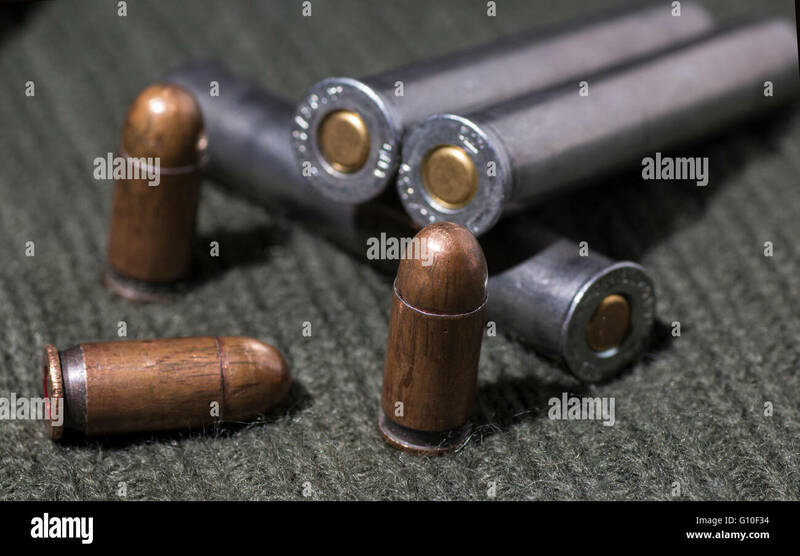 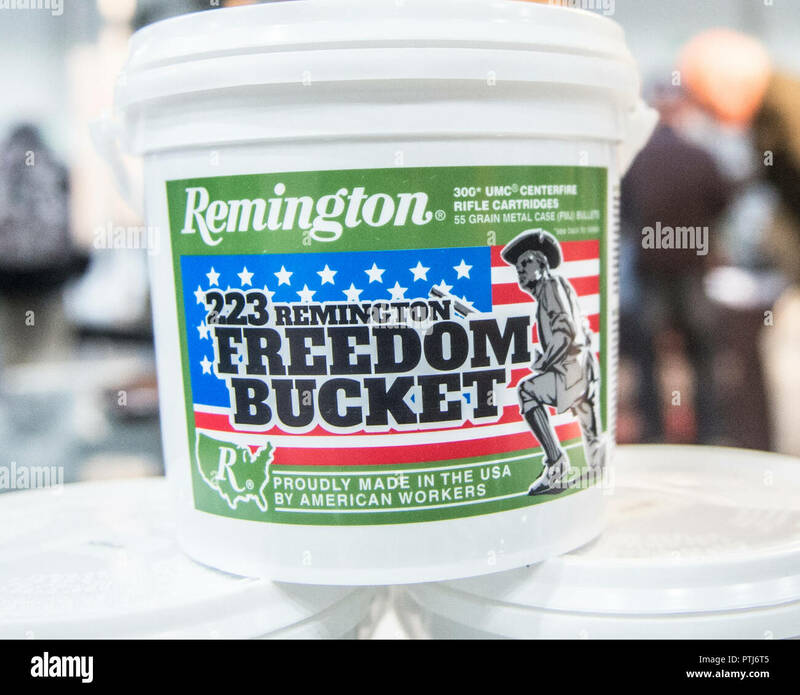 Expended automatic rifle and shotgun shells in a barrel at the FBI shooting range in Chicago, Illinois, USA. 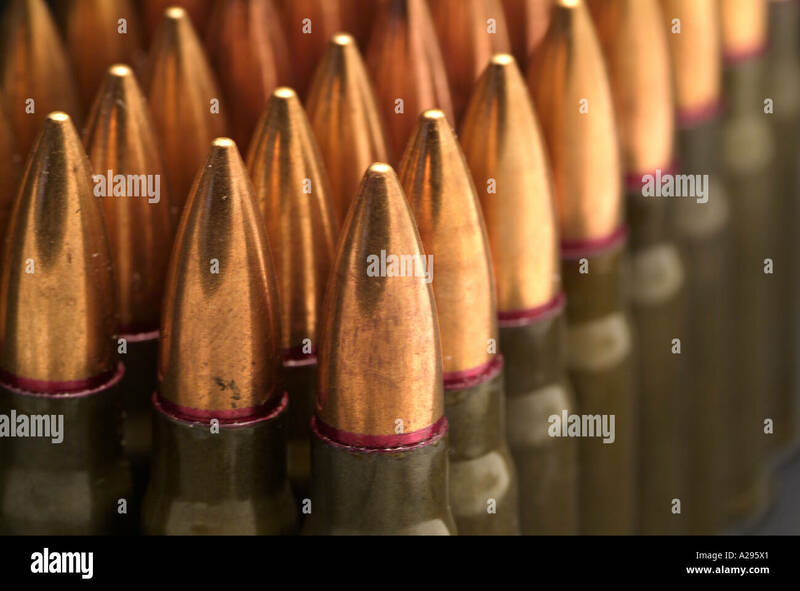 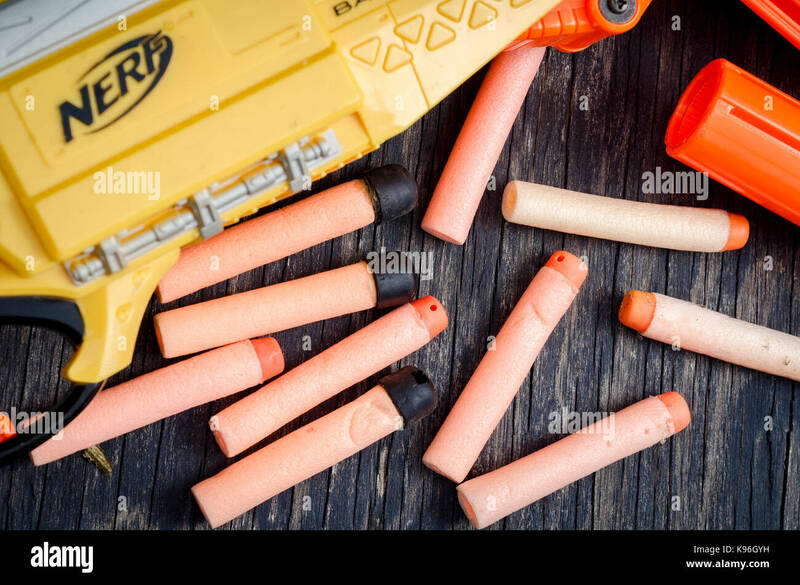 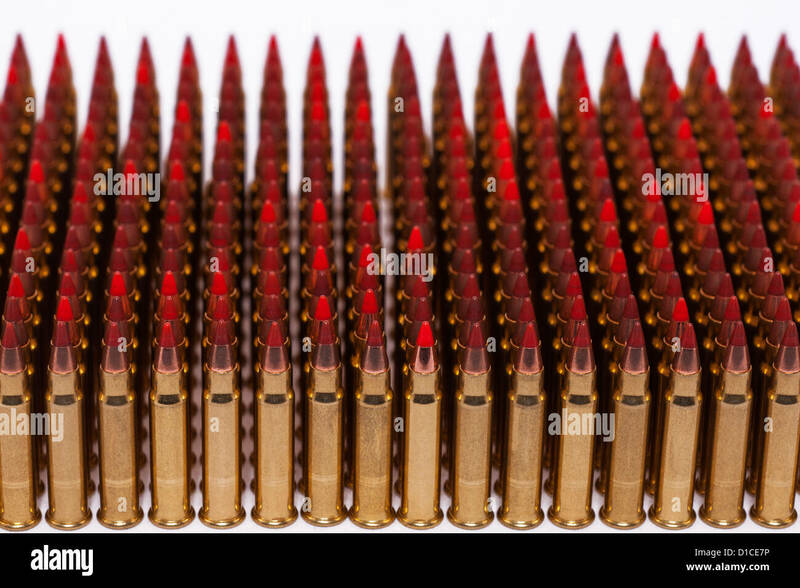 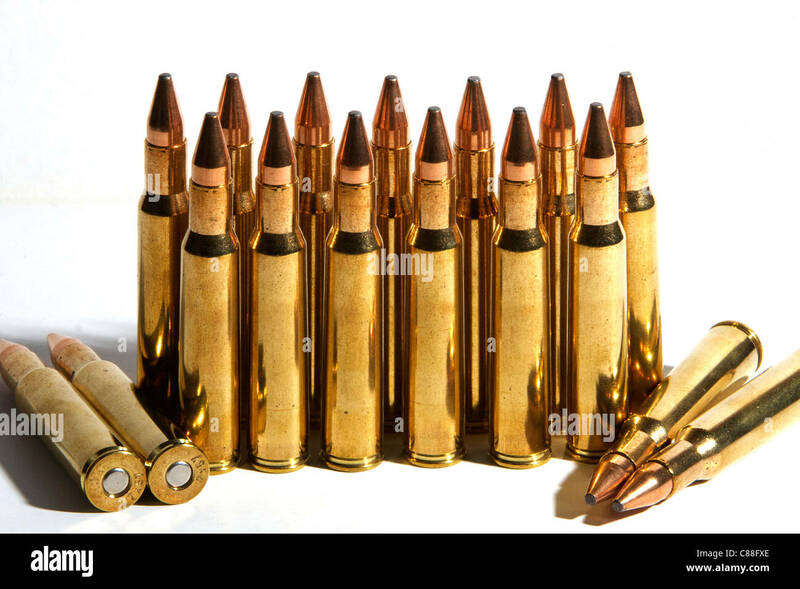 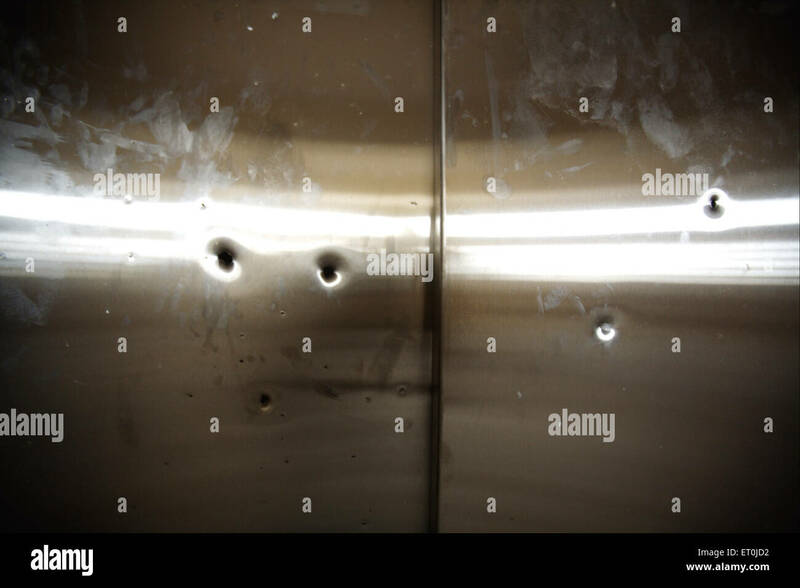 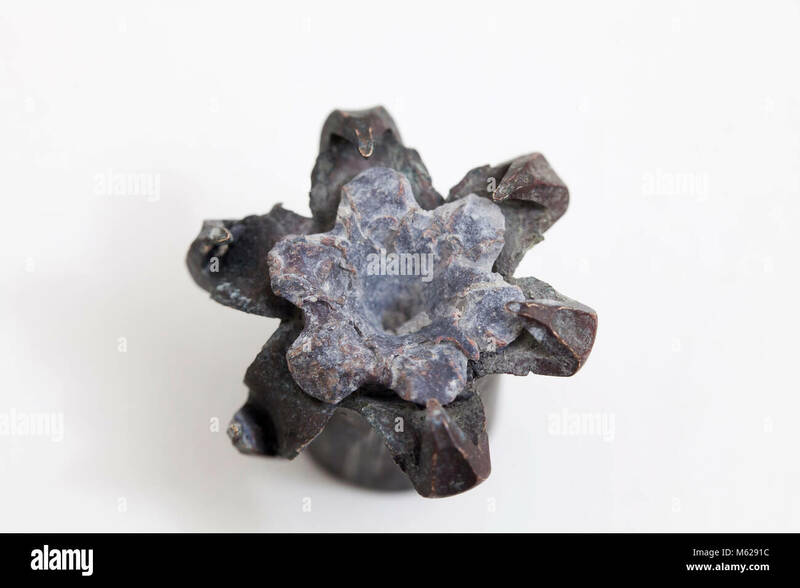 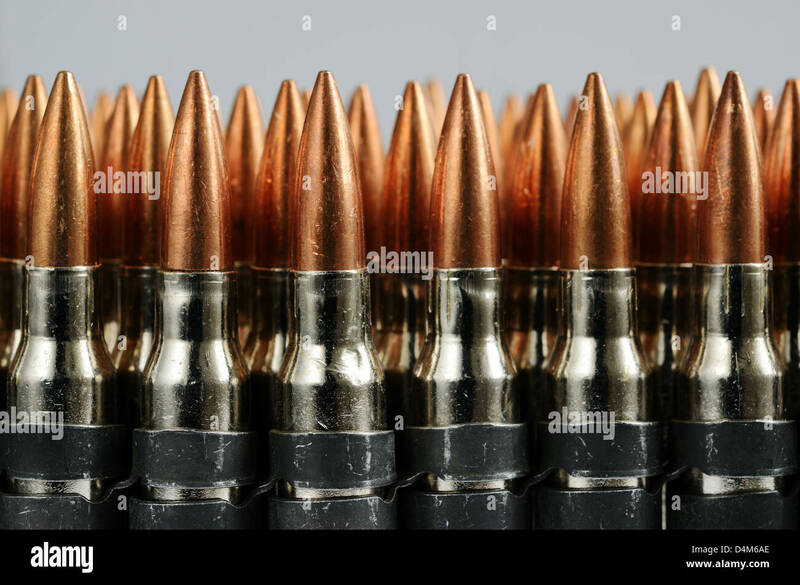 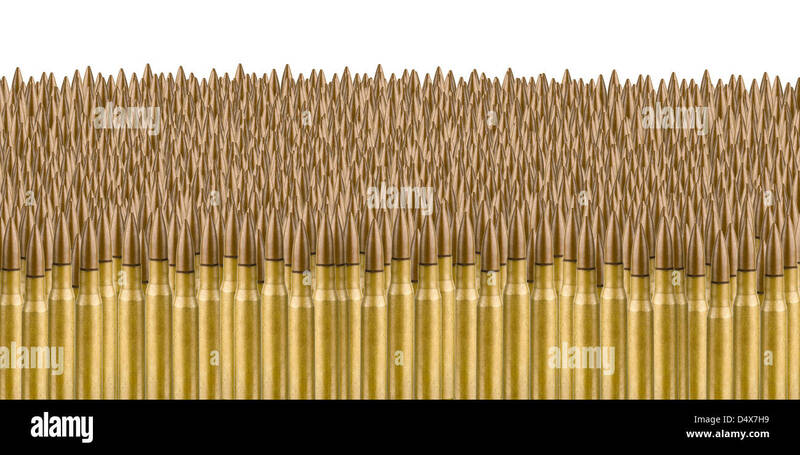 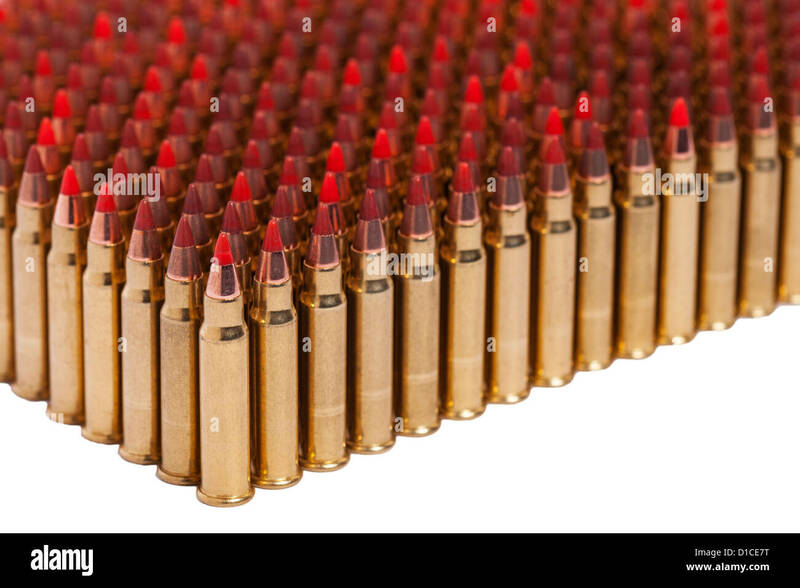 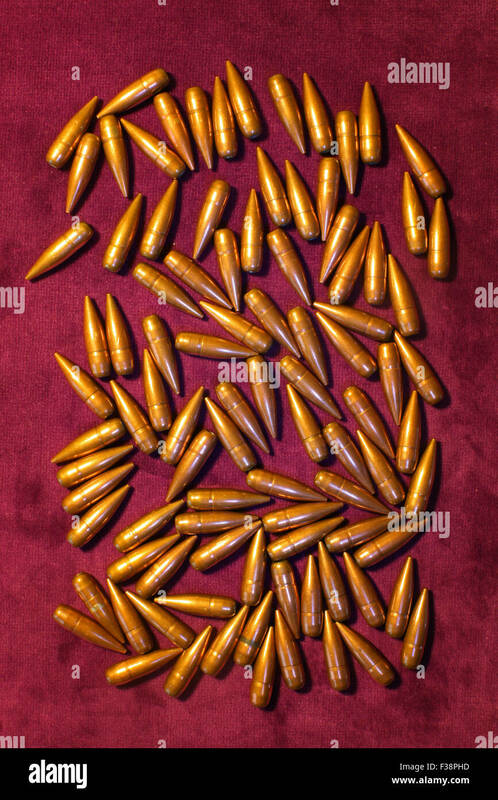 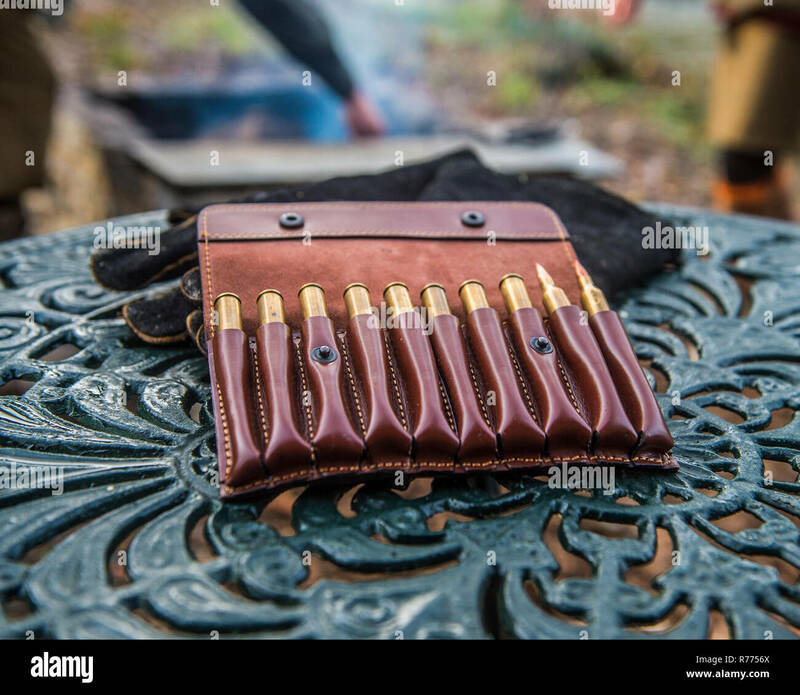 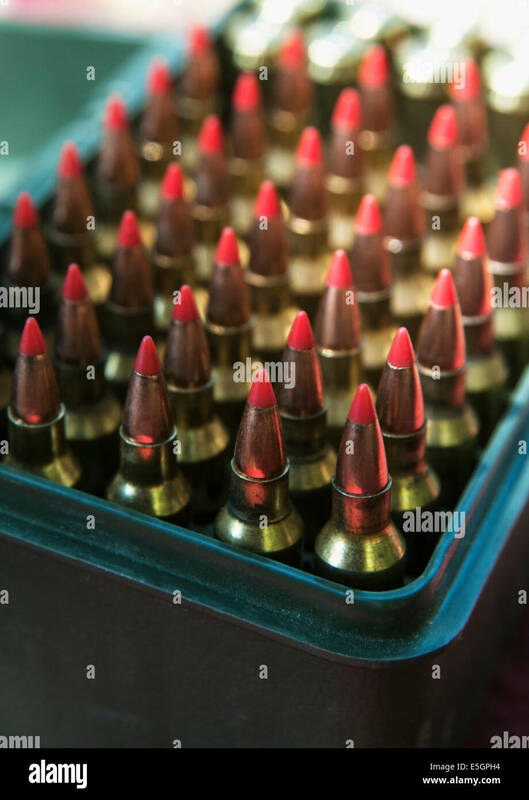 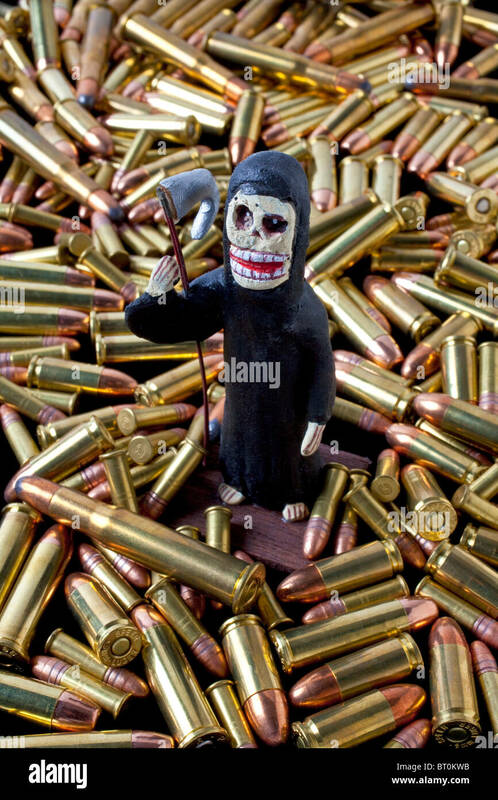 Randomly spread .308 or 7.62 bullets laid on a mauve cloth. 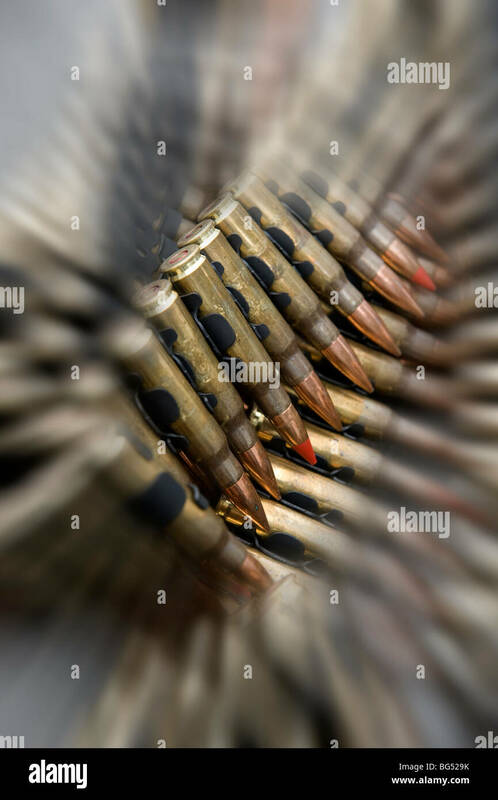 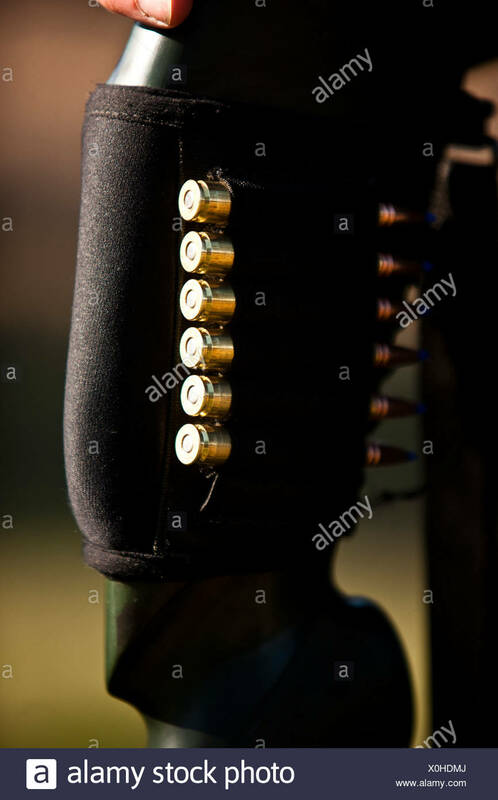 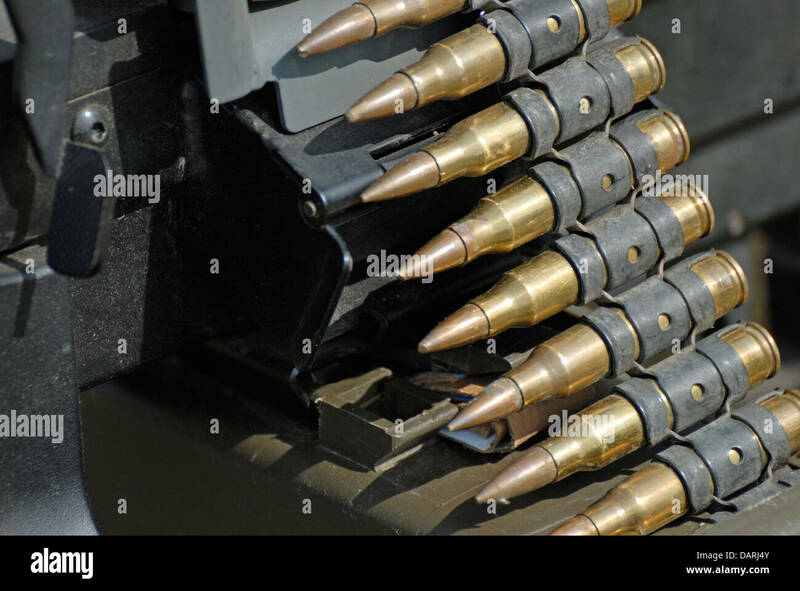 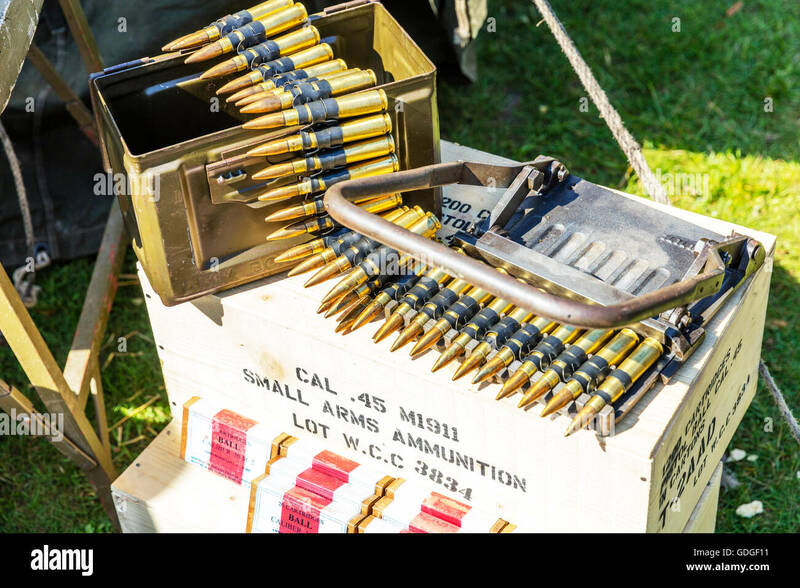 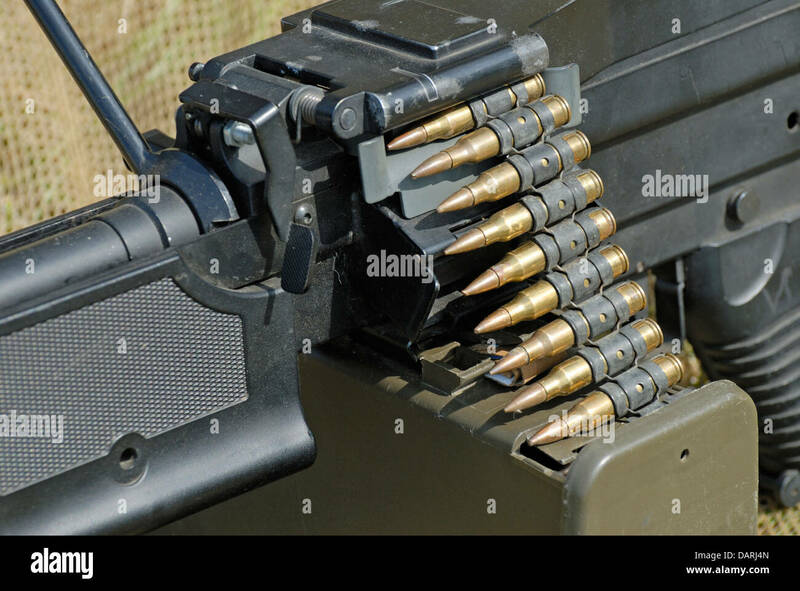 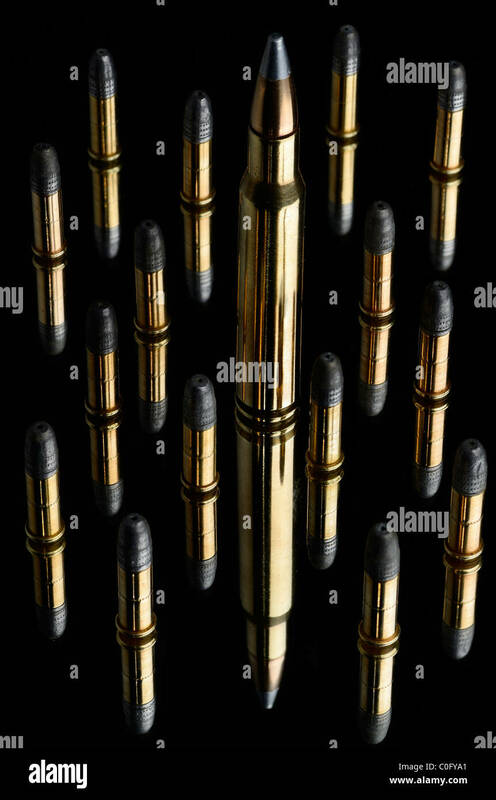 Machine gun bullets in belt fed through gun. 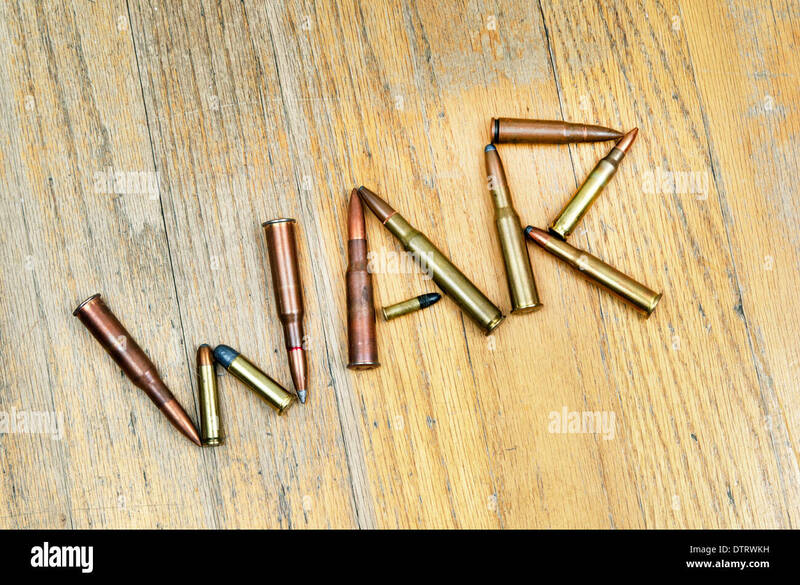 War and Peace Revival, July 2013, Folkestone Racecourse, Kent, England, UK. 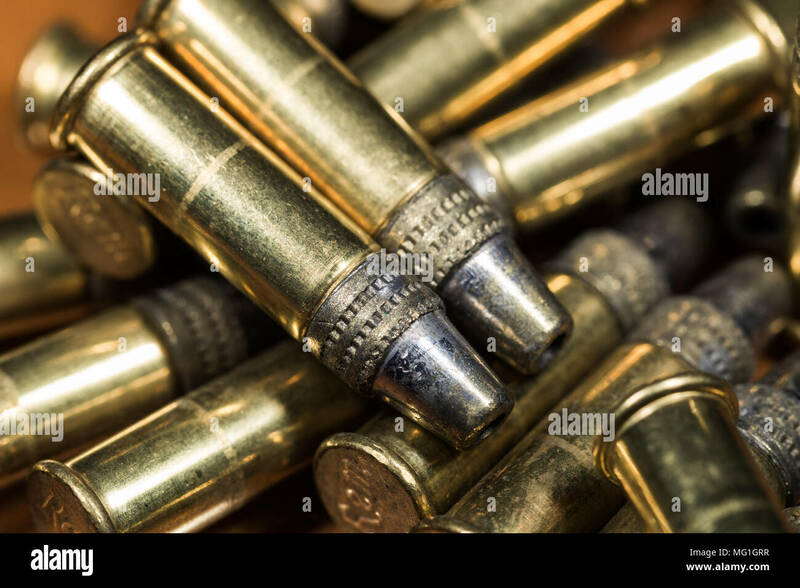 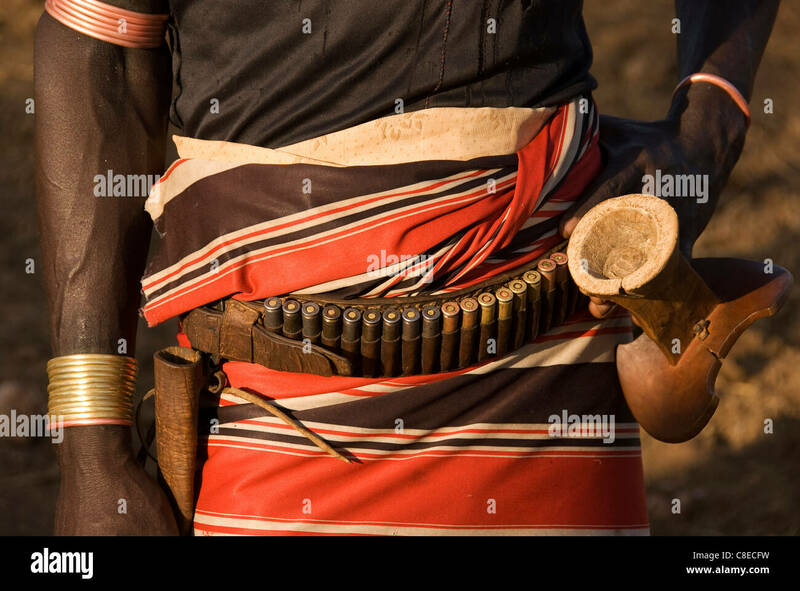 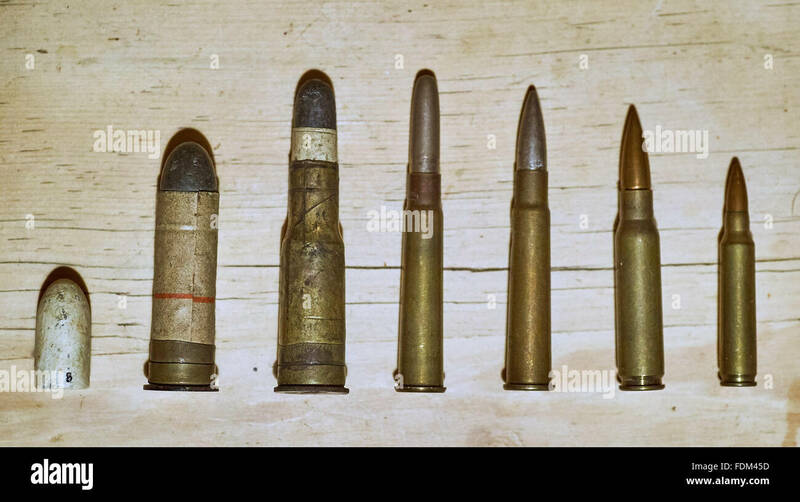 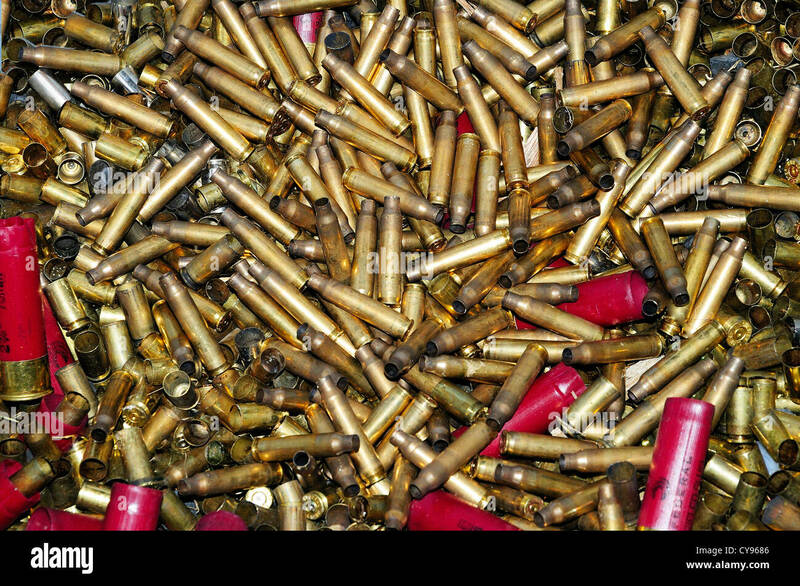 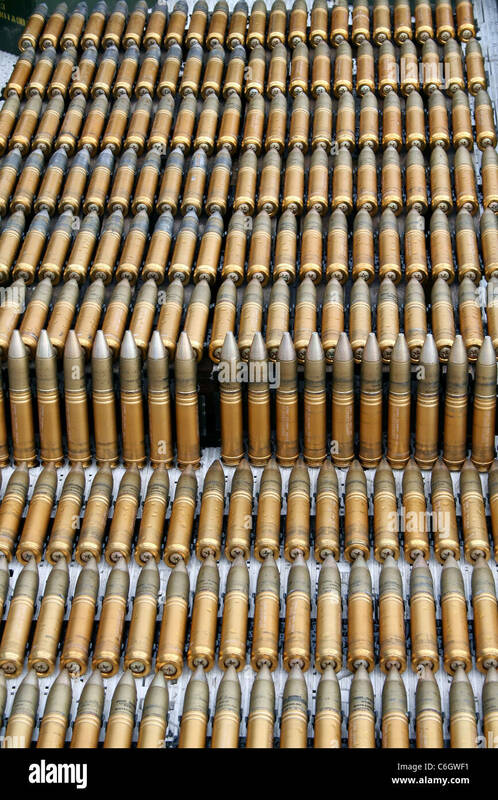 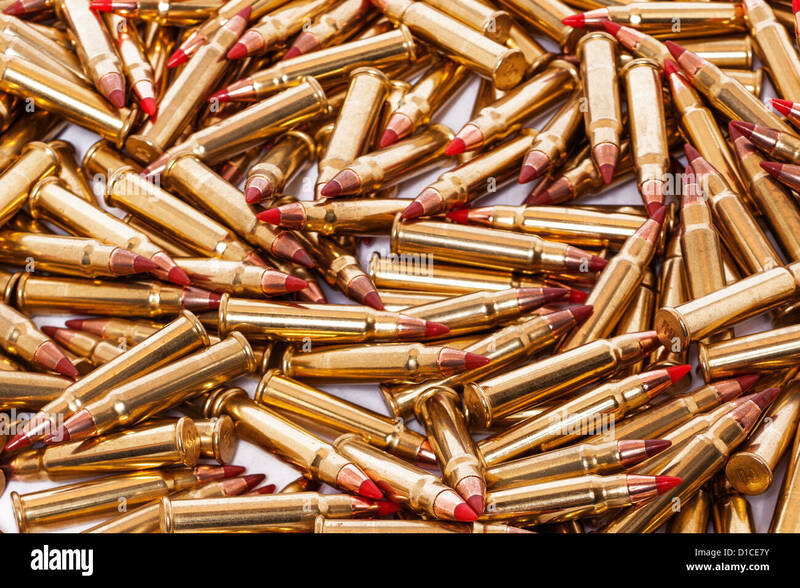 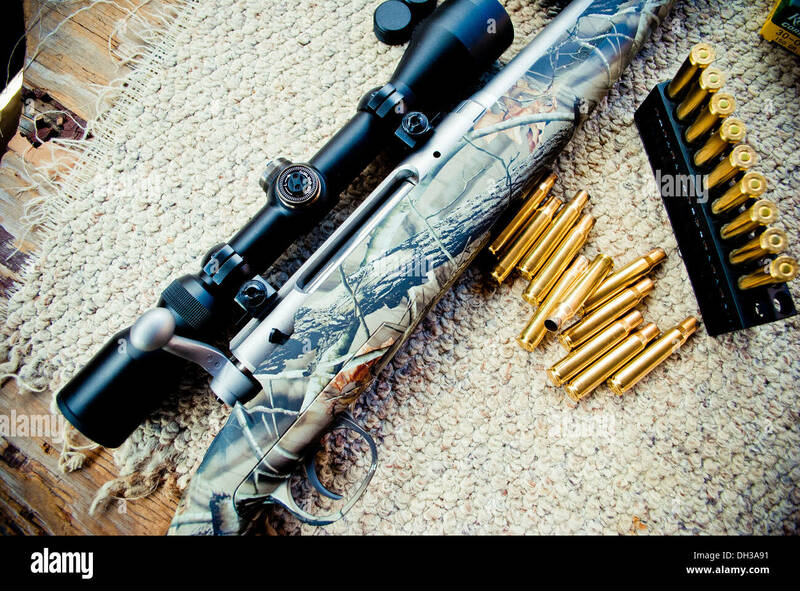 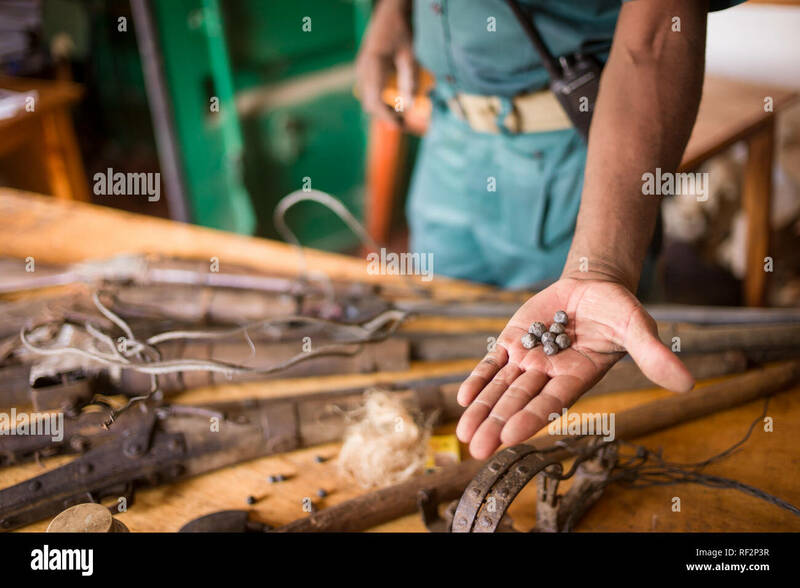 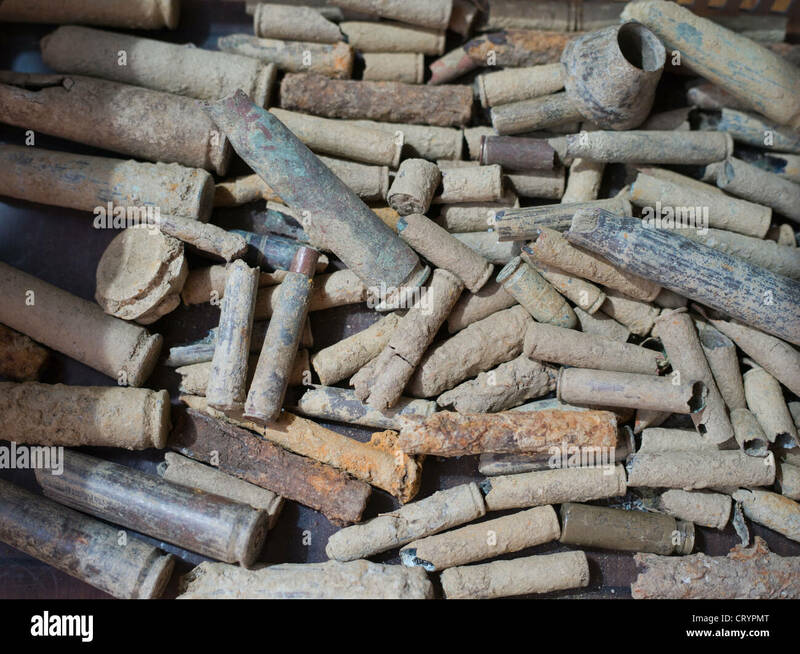 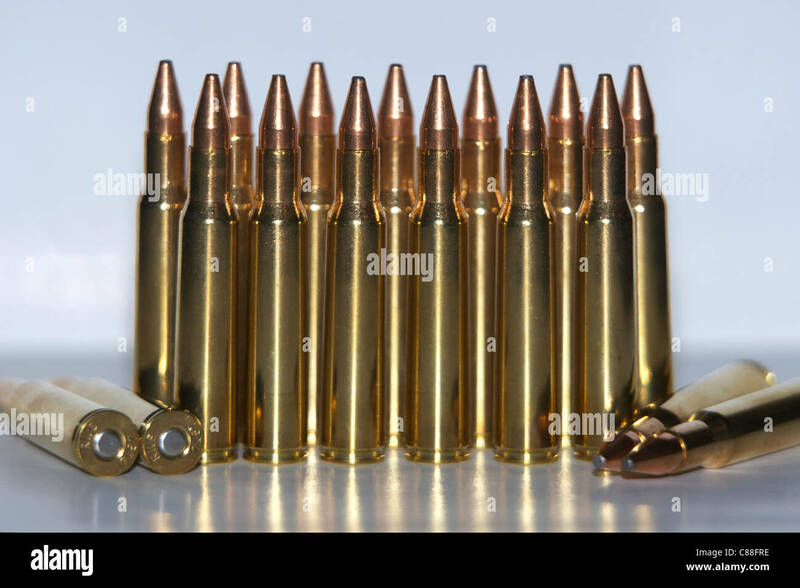 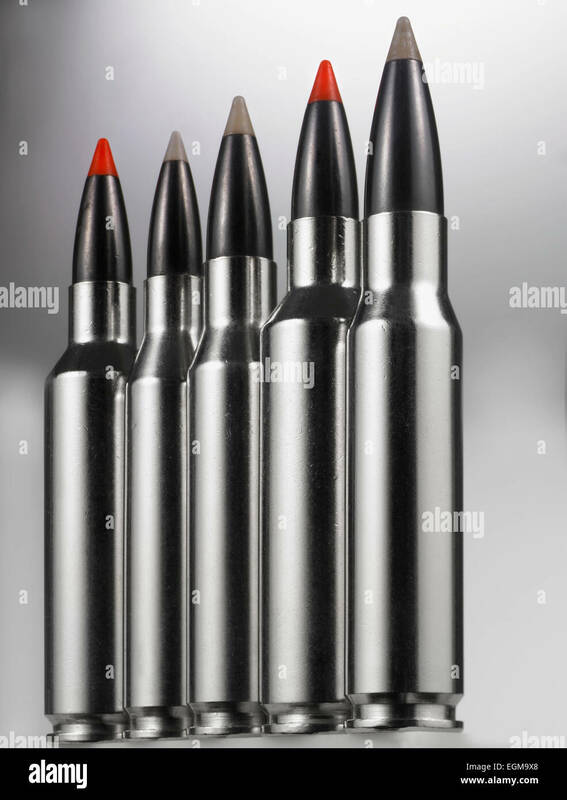 Illegal homemade muzzle loading guns and bullets are confiscated from poachers at the Majete Wildlife Reserve in Malawi and kept in a vault by rangers. 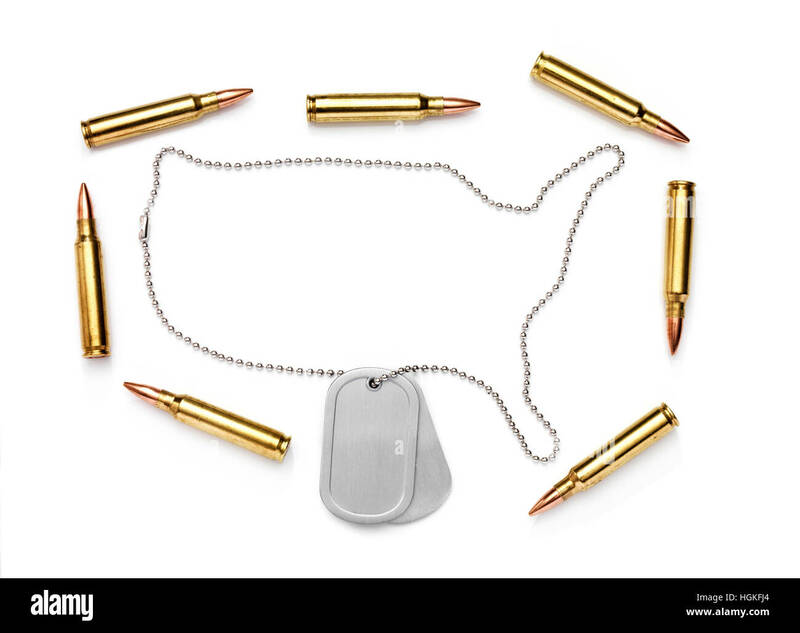 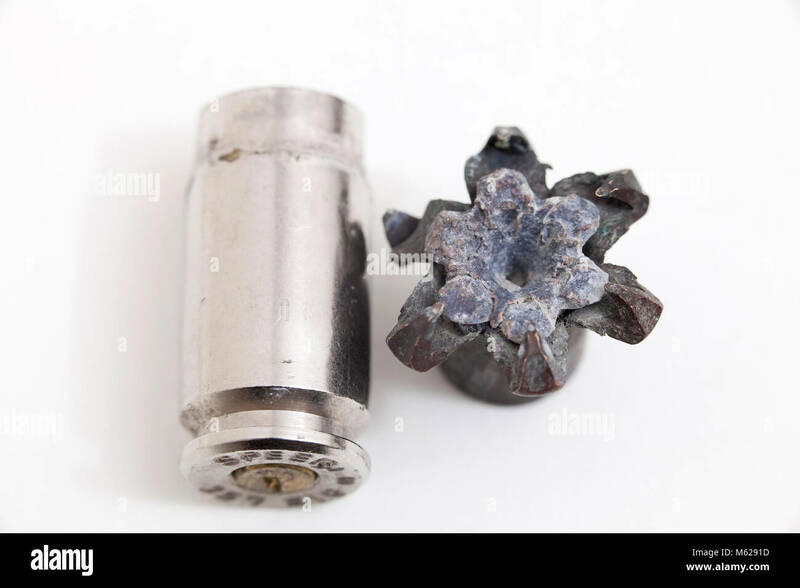 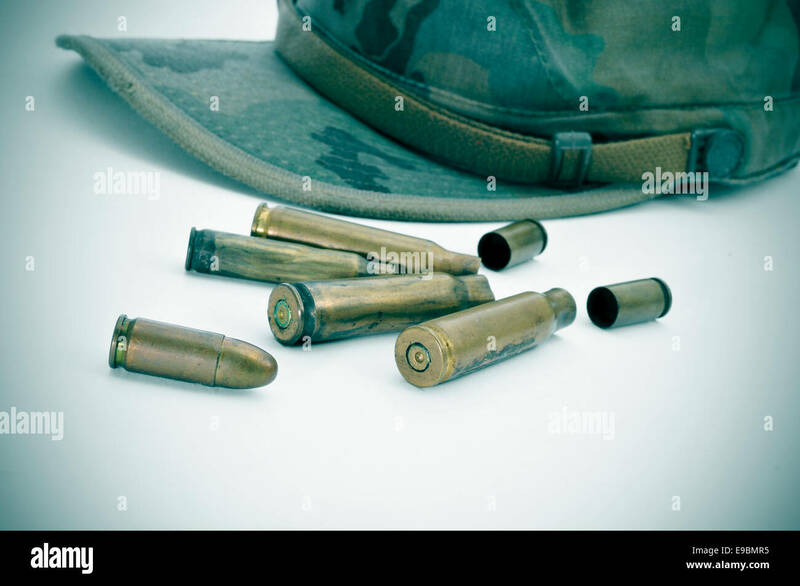 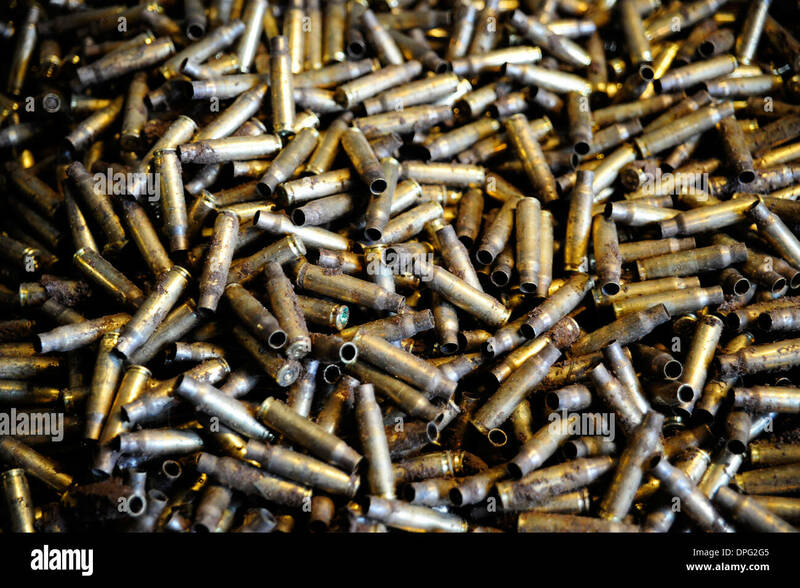 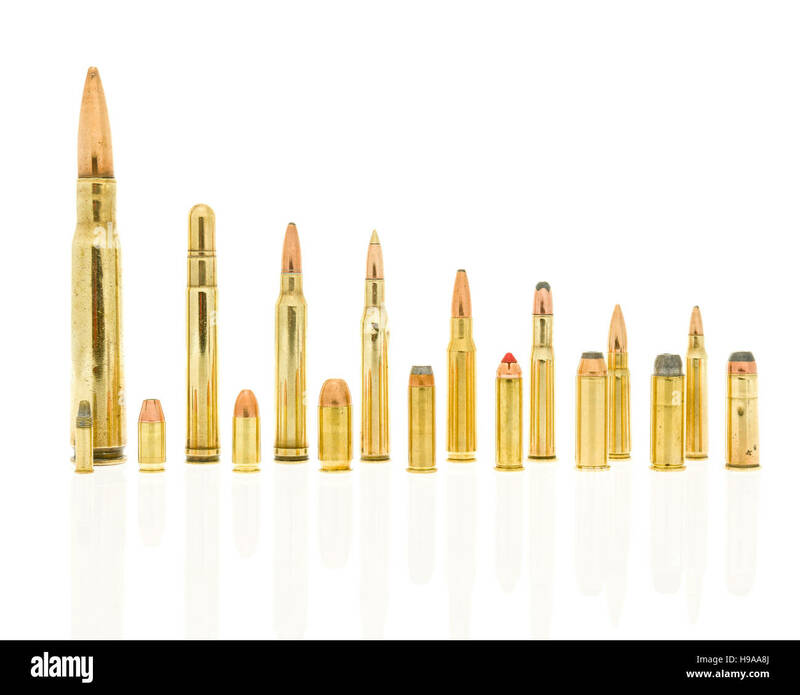 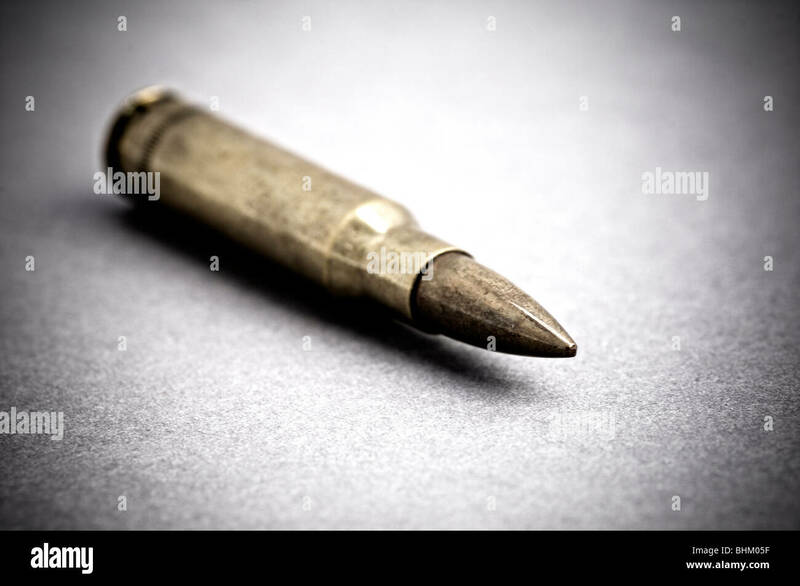 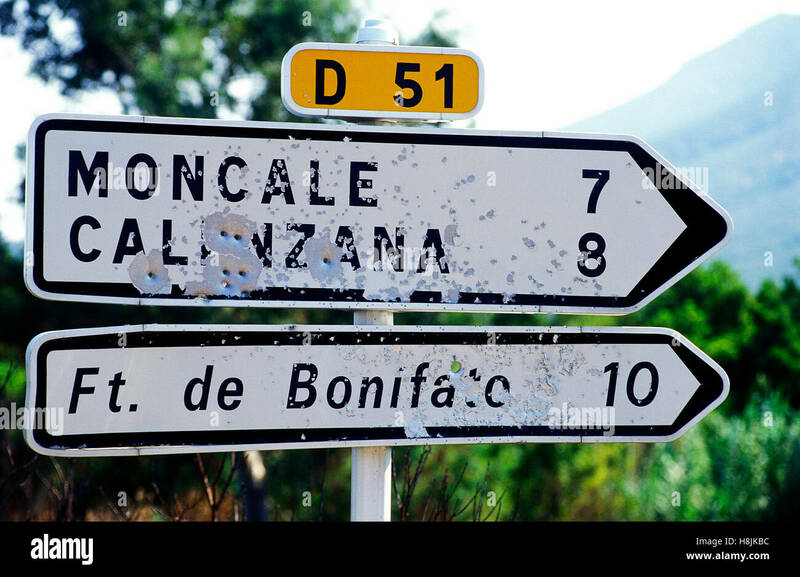 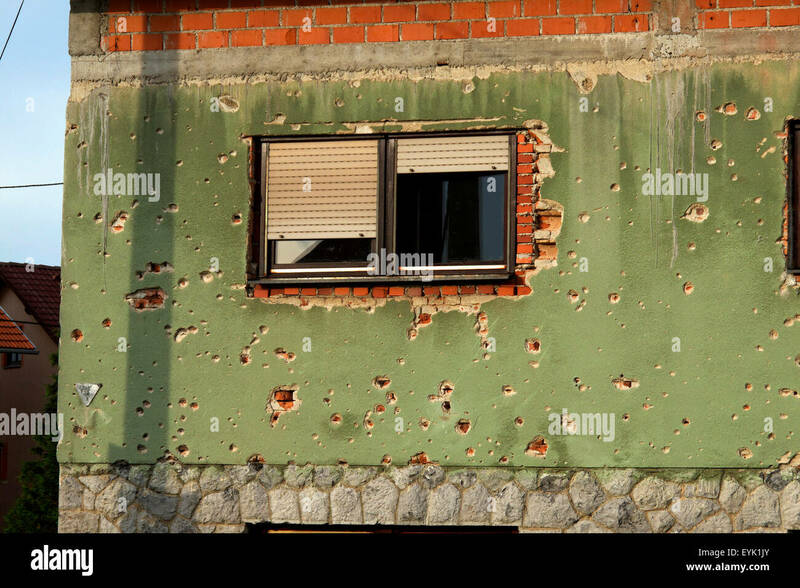 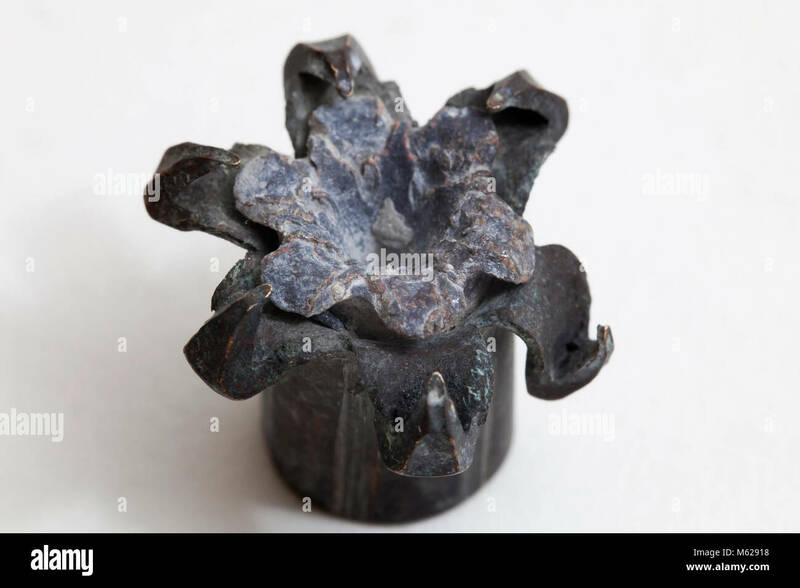 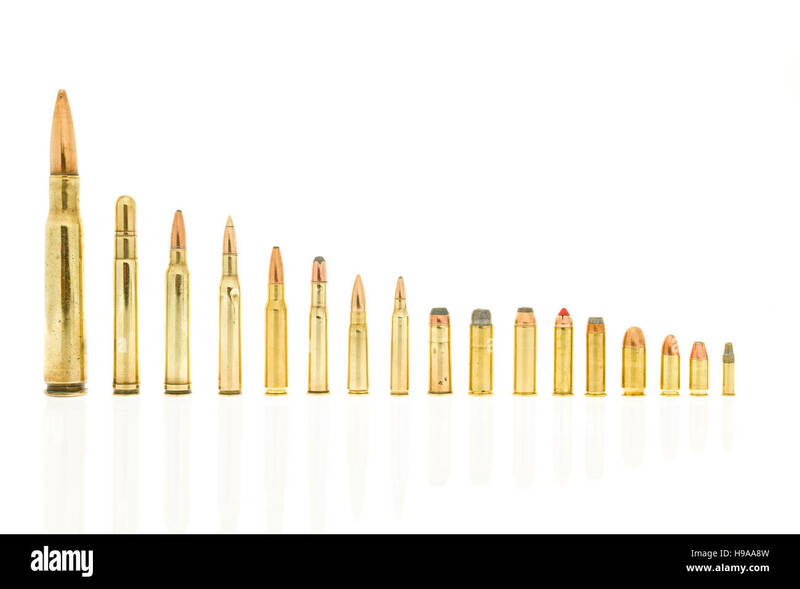 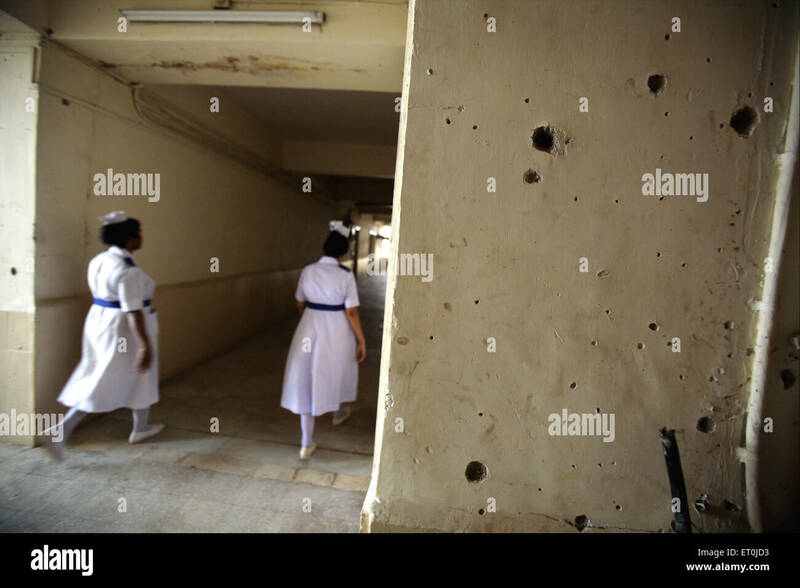 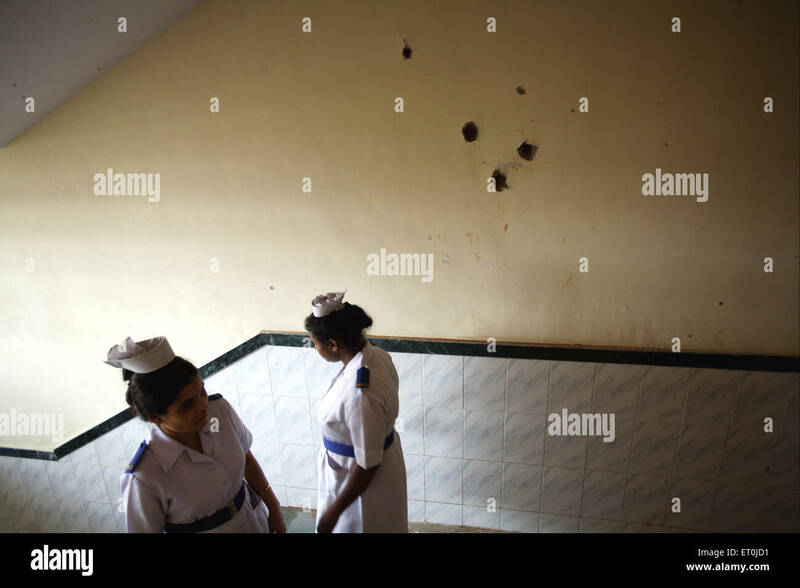 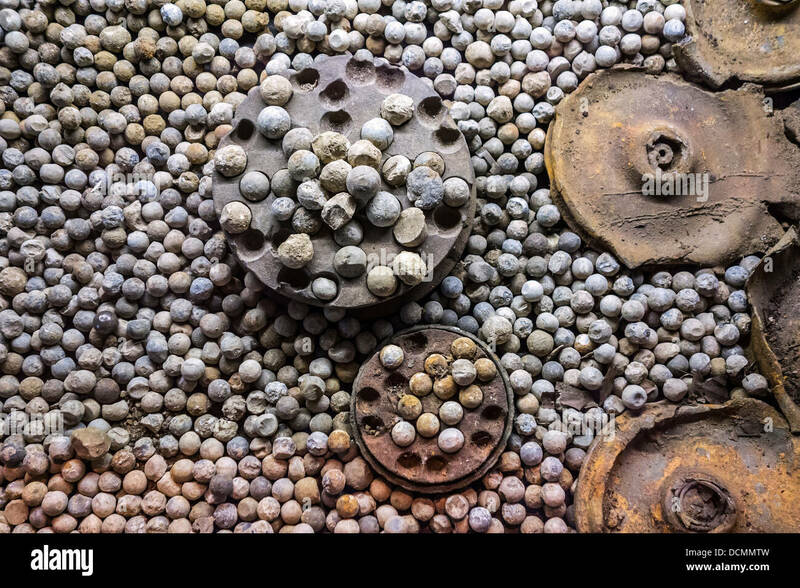 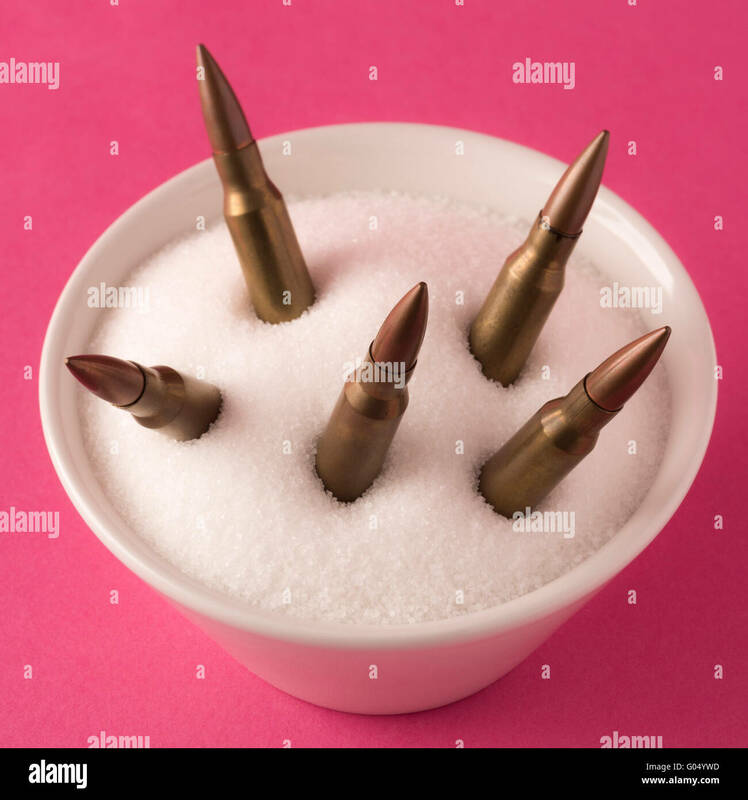 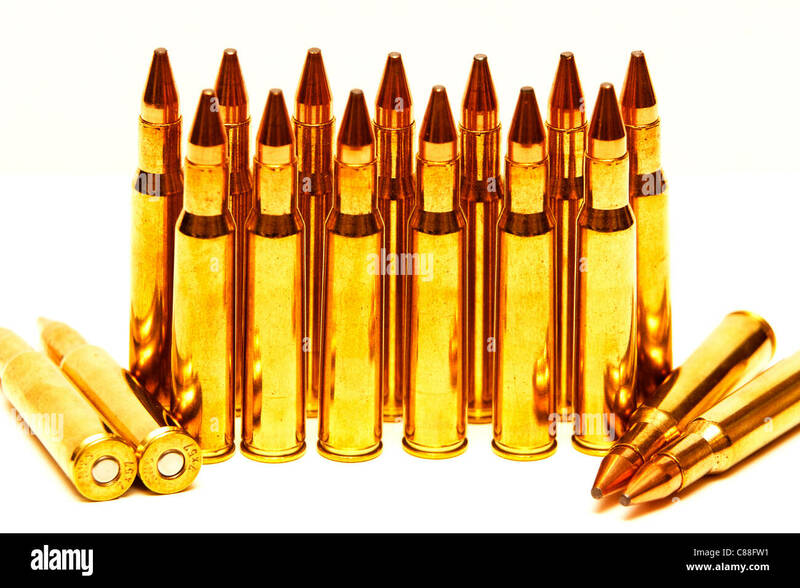 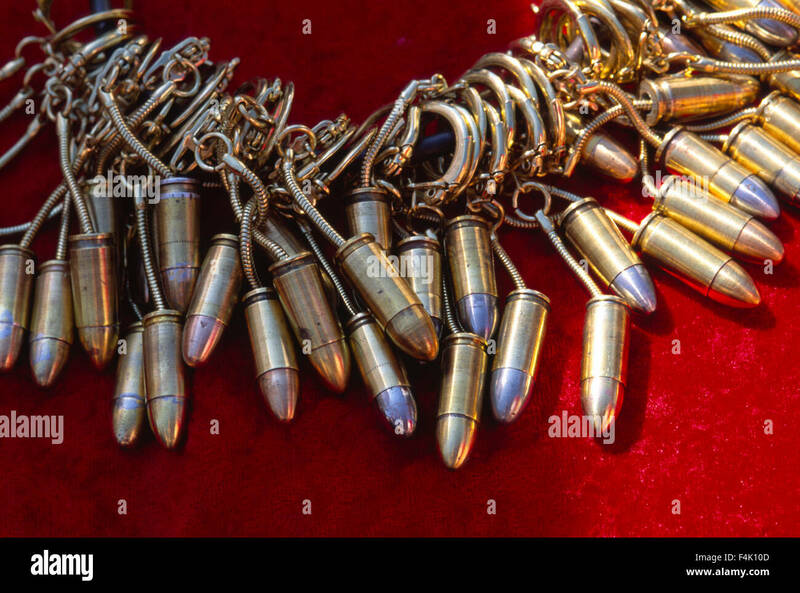 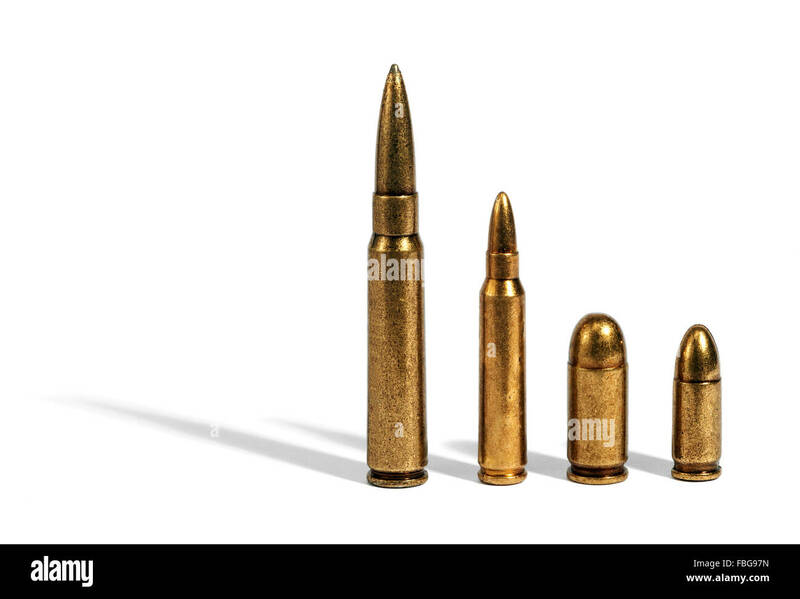 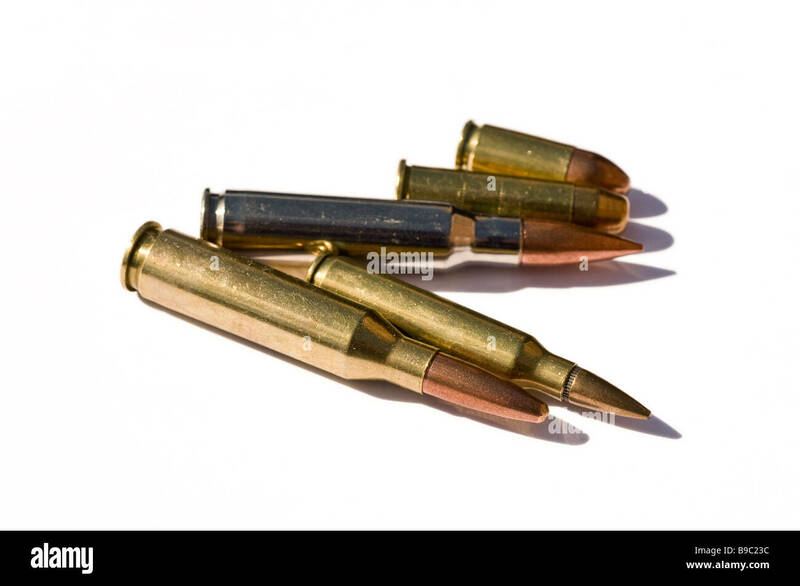 War spelled with bullets and slugs. 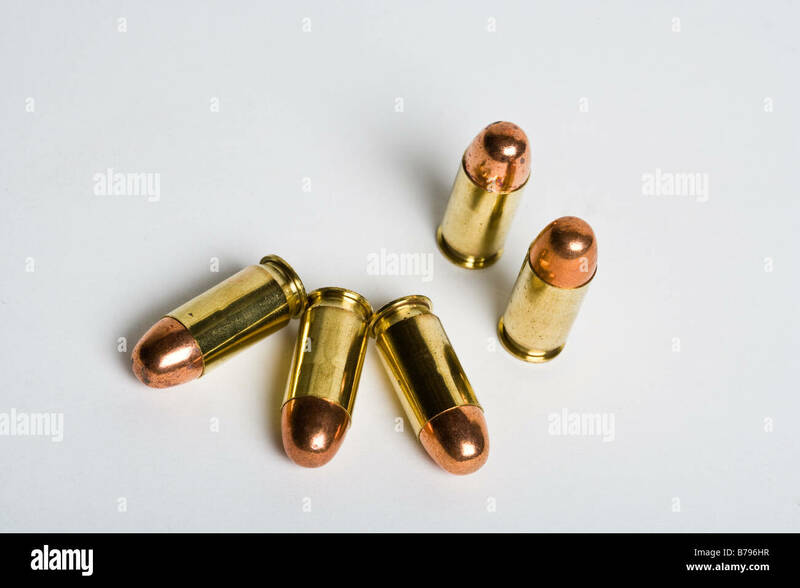 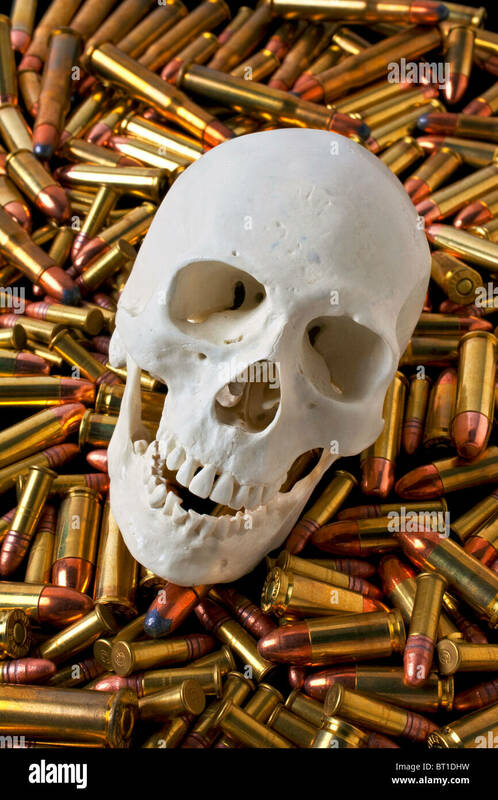 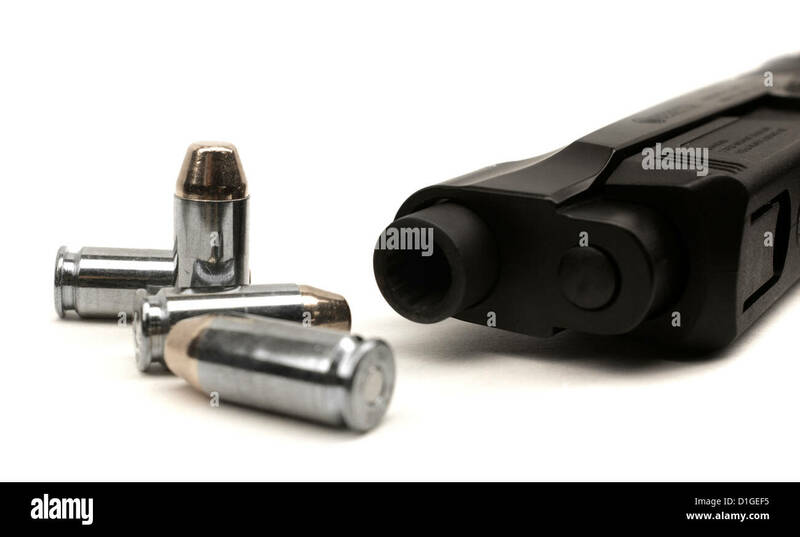 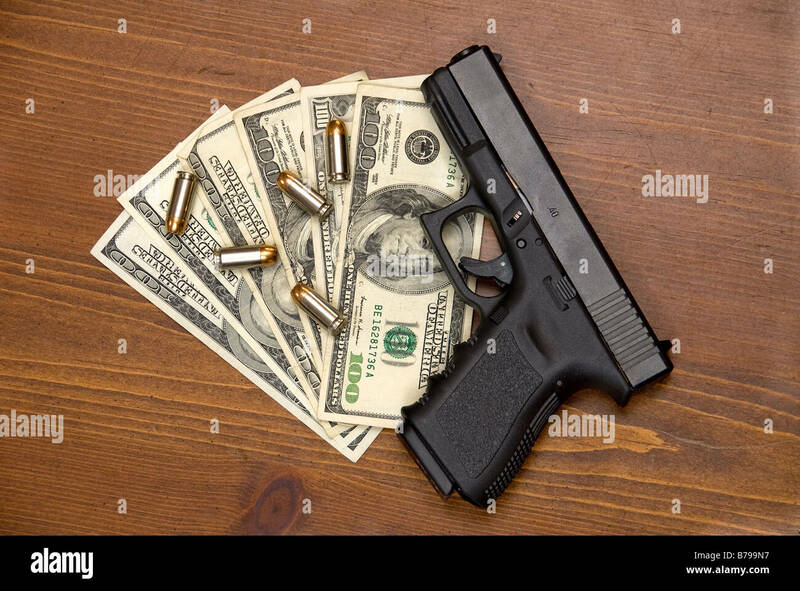 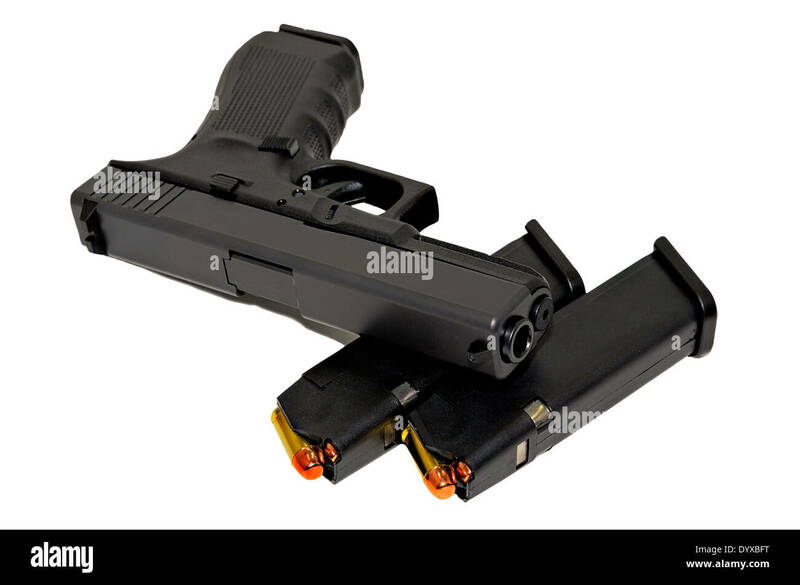 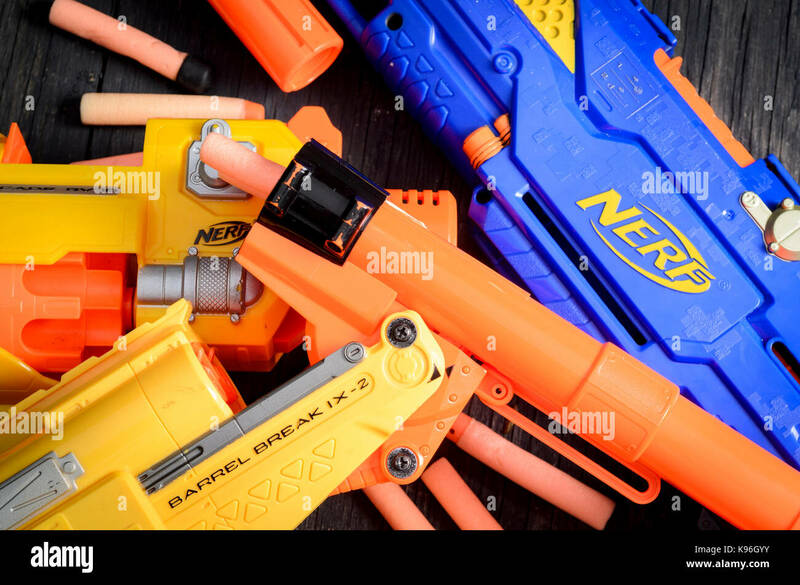 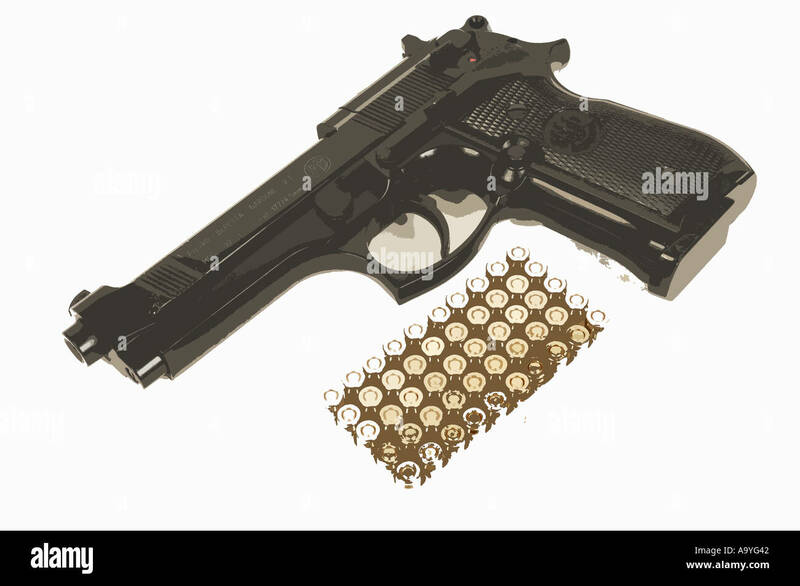 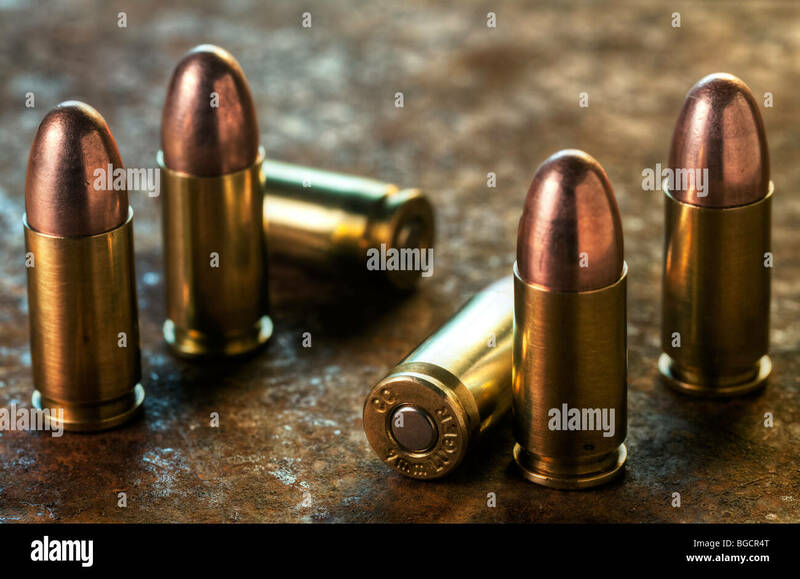 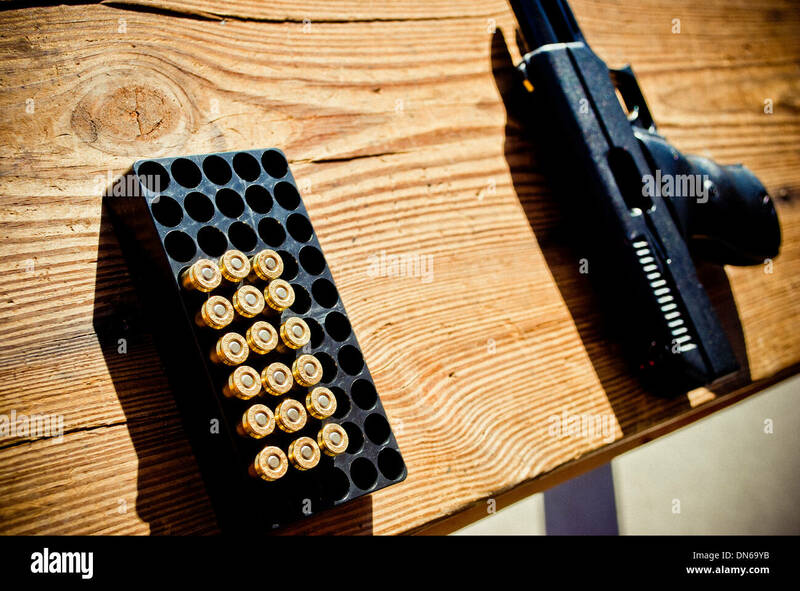 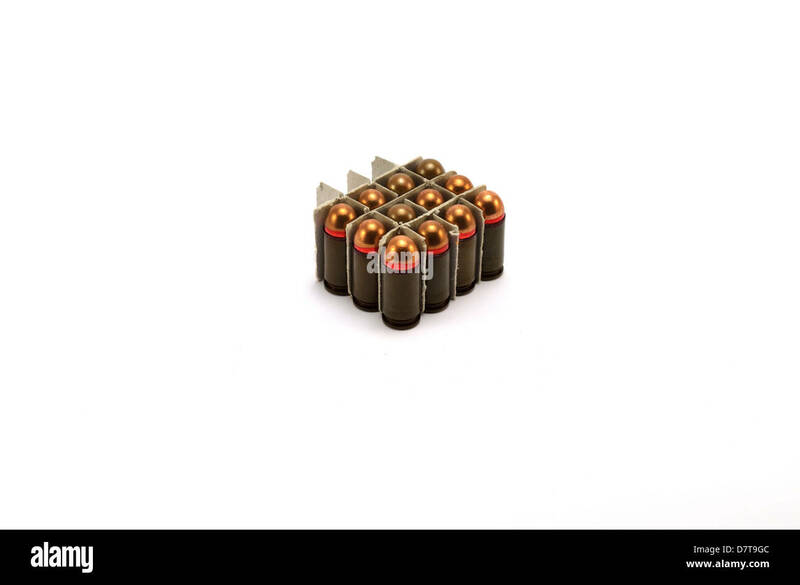 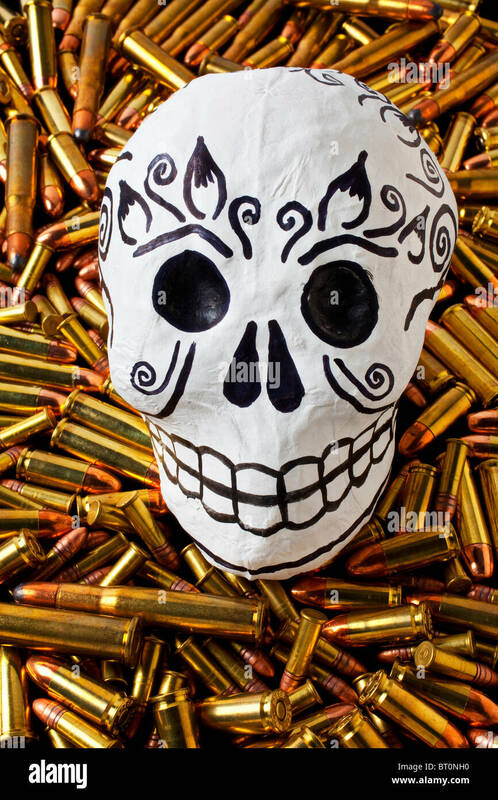 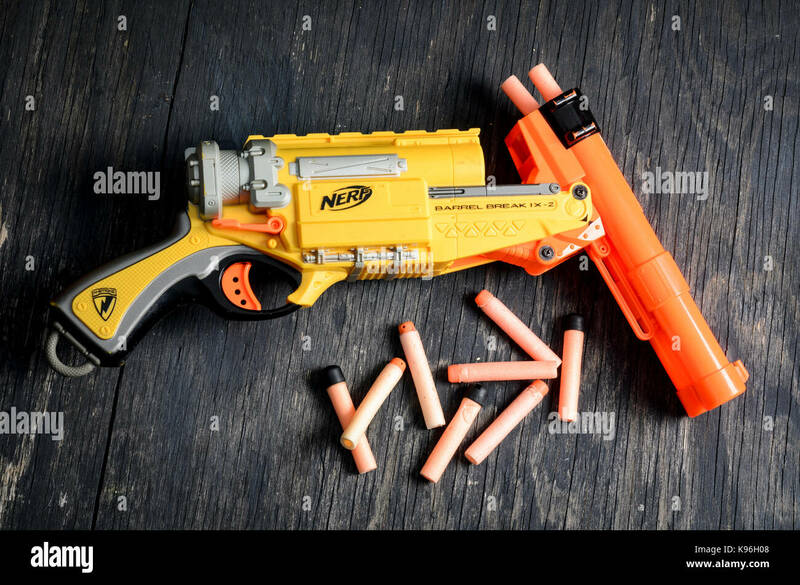 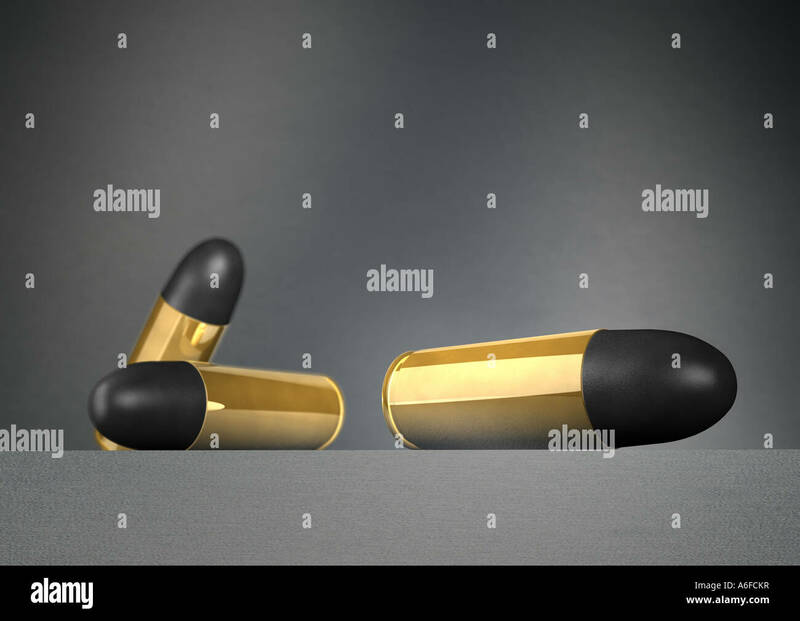 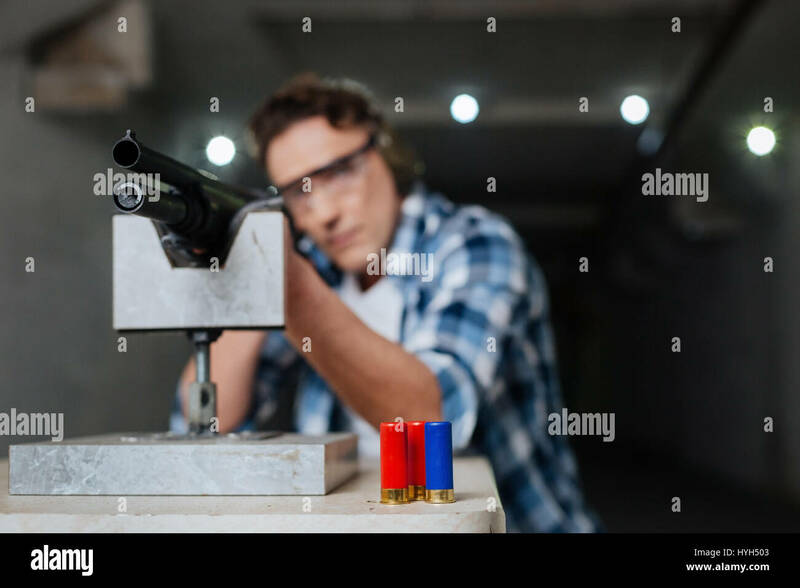 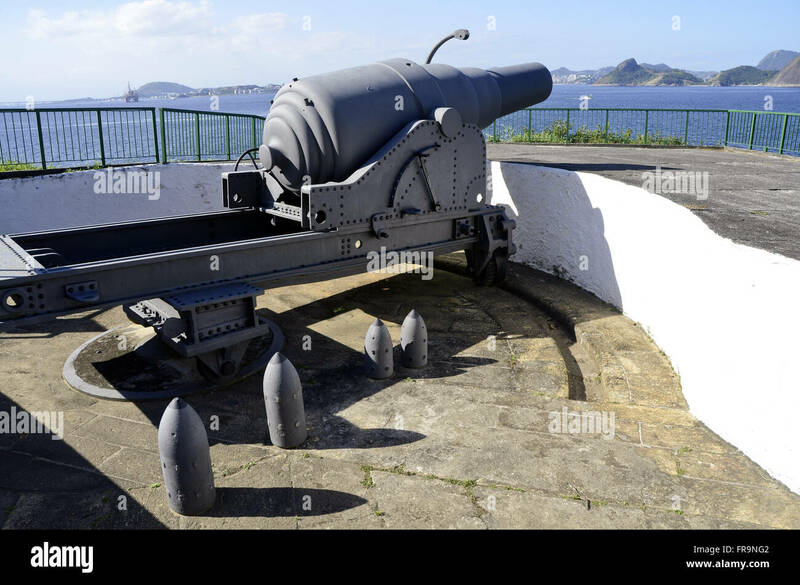 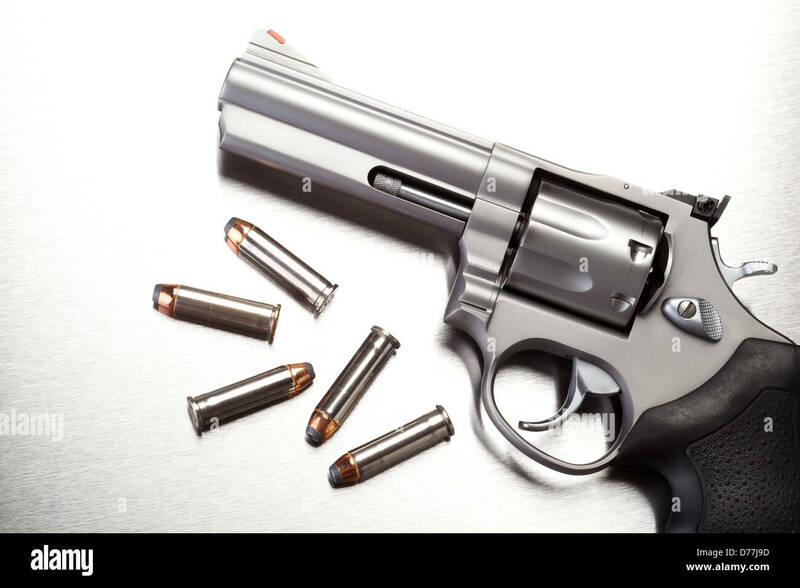 A pistol with bullets on a white background. 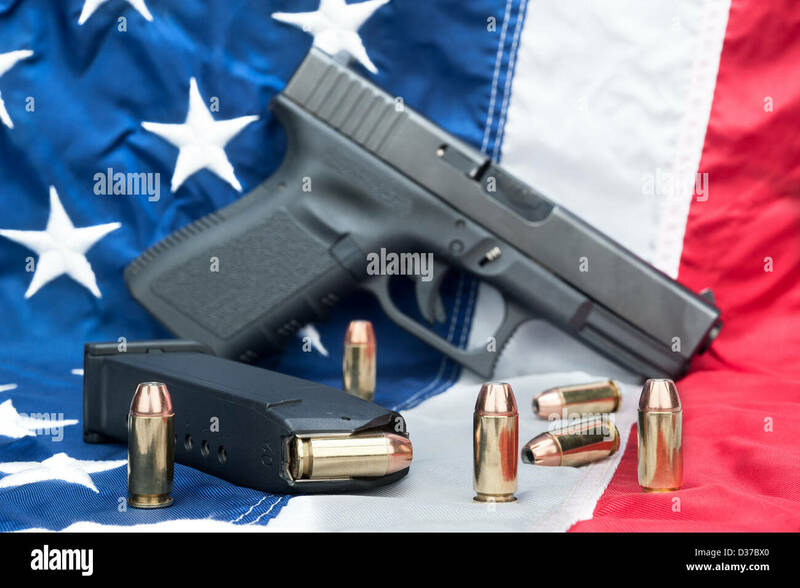 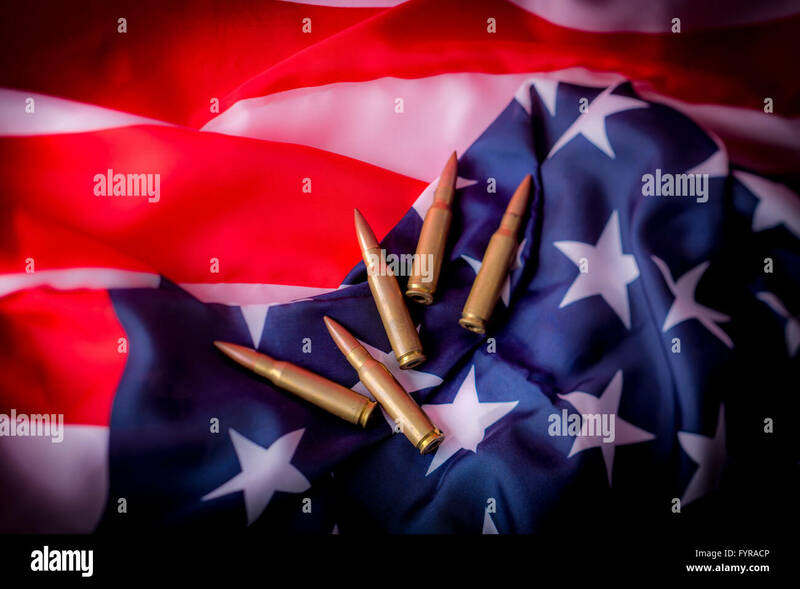 A handgun with a full magazine and scattered bullets on an American flag. 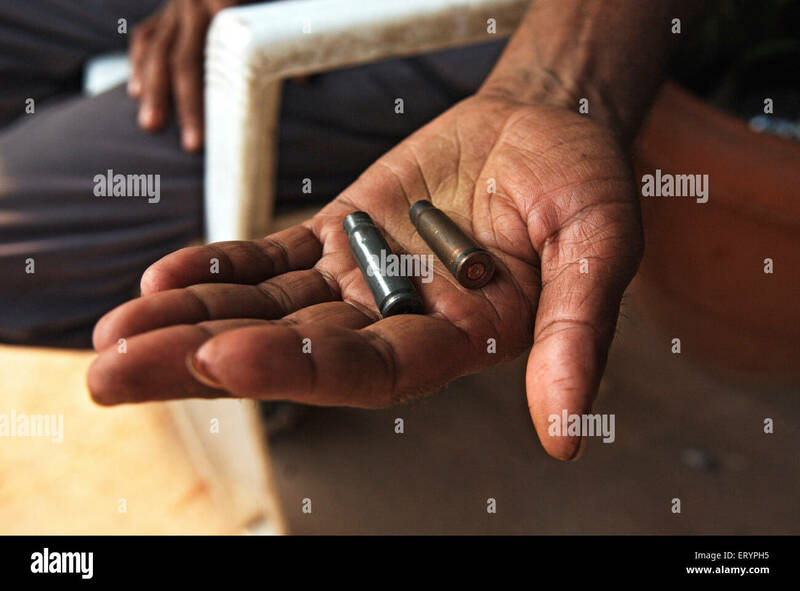 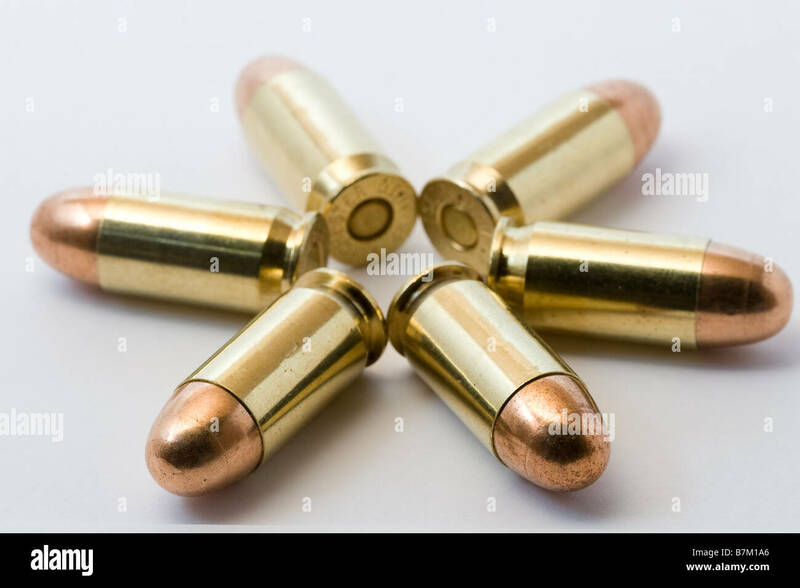 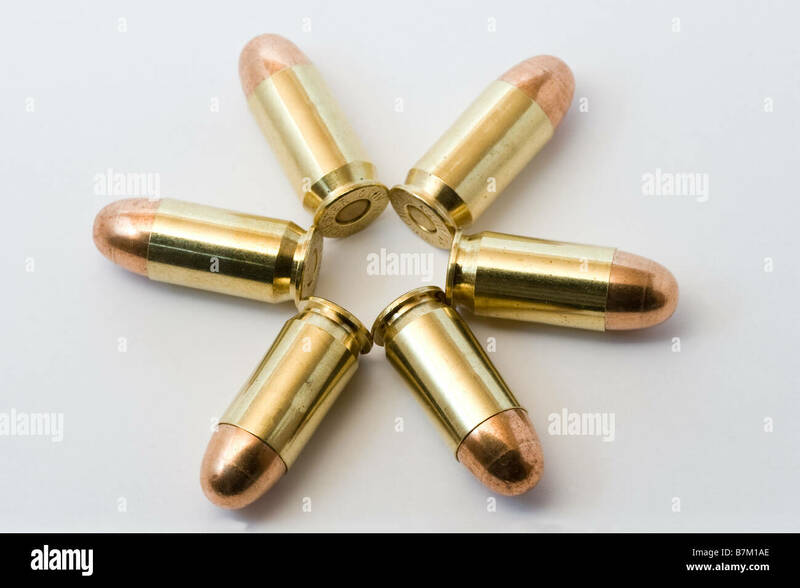 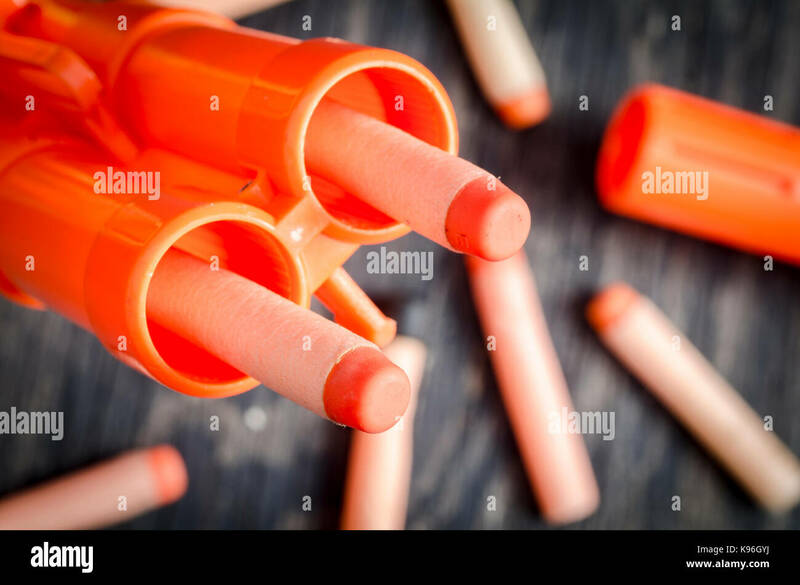 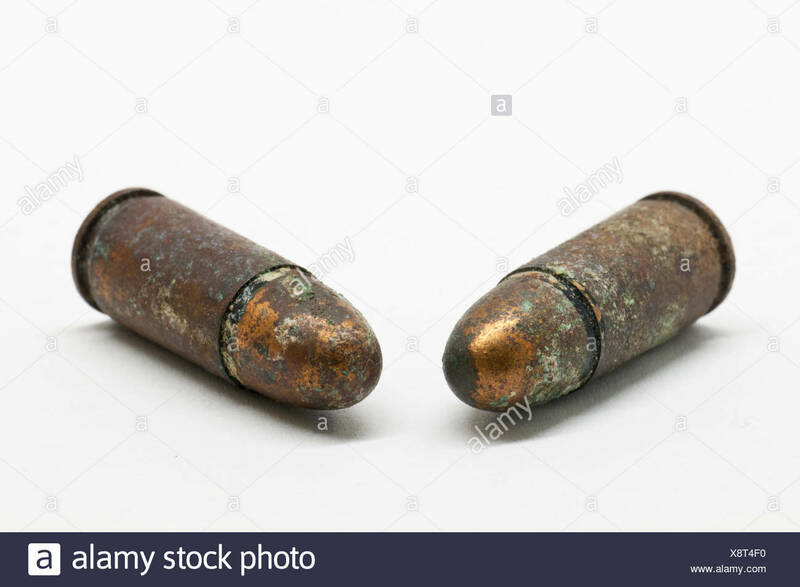 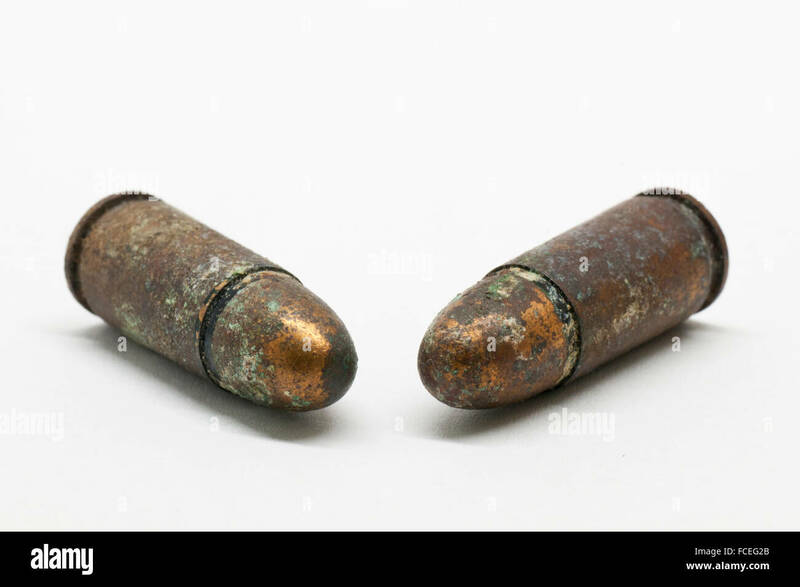 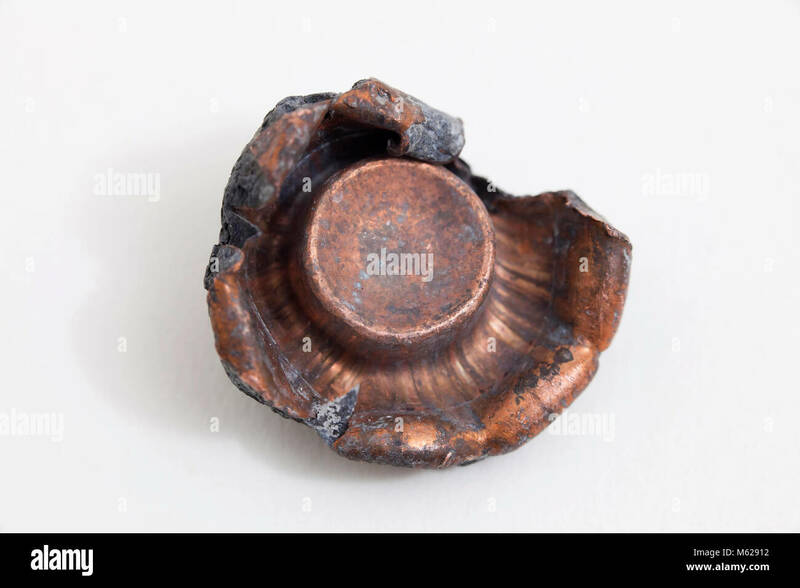 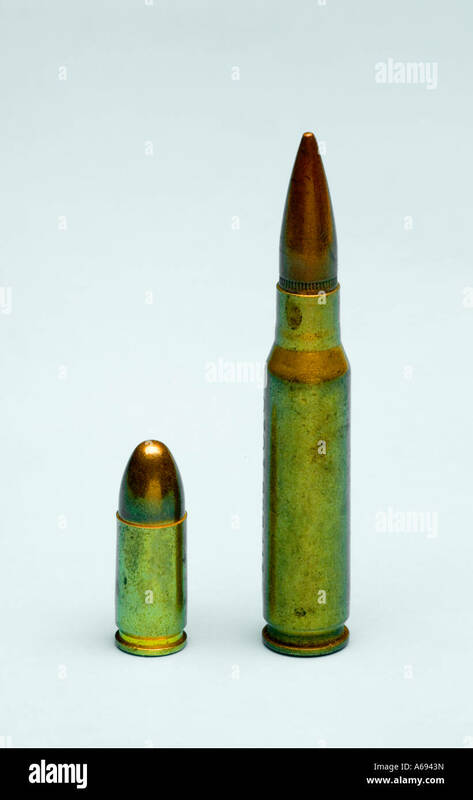 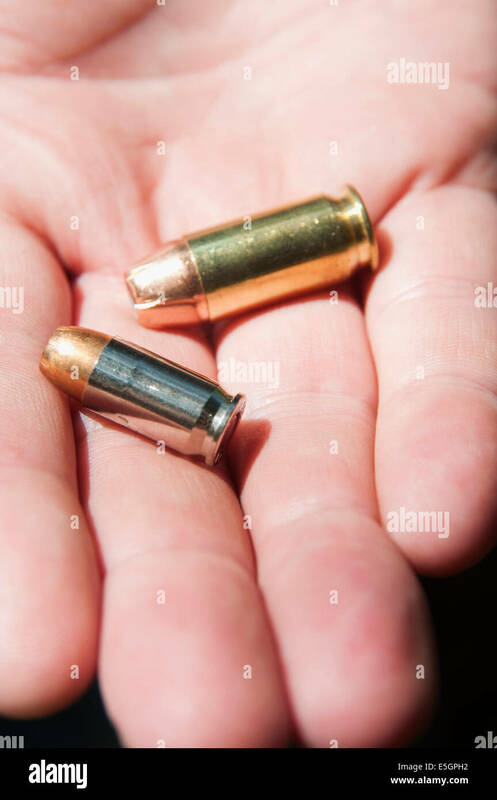 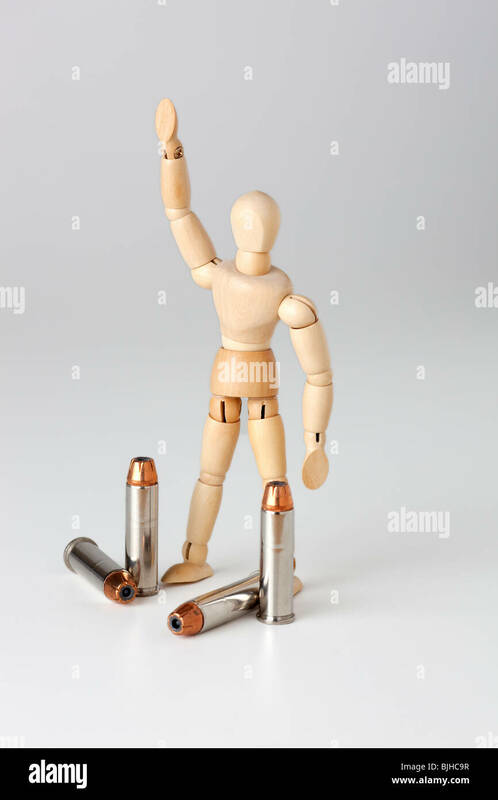 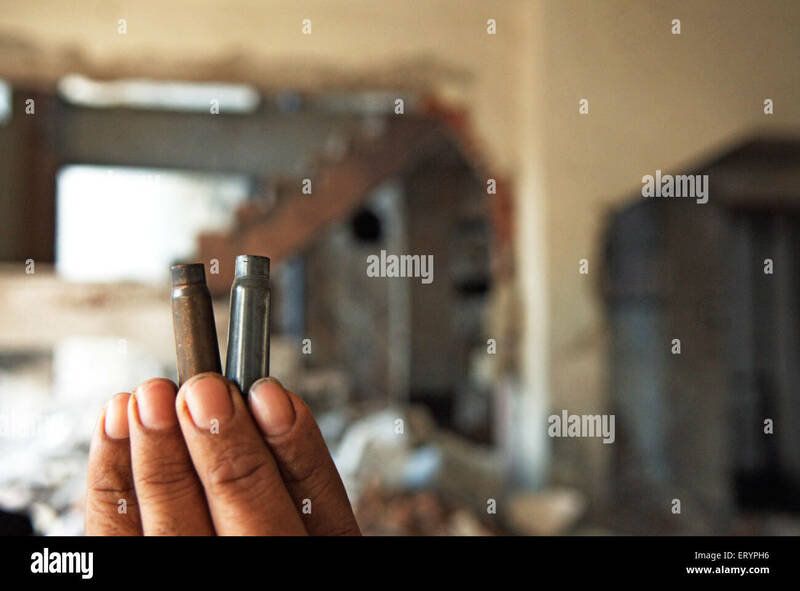 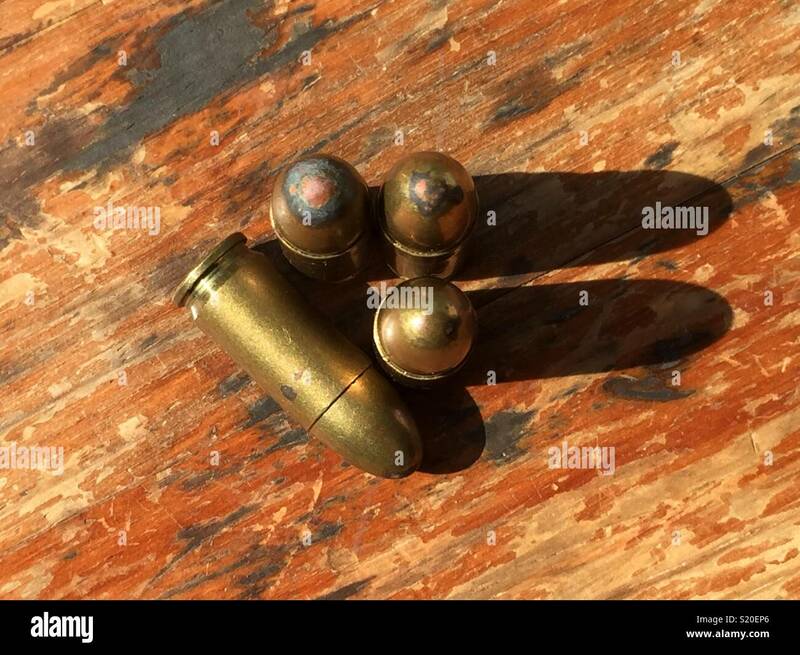 A hand holding two bullets.